A lot awaited trip, a dream come true for all of us. 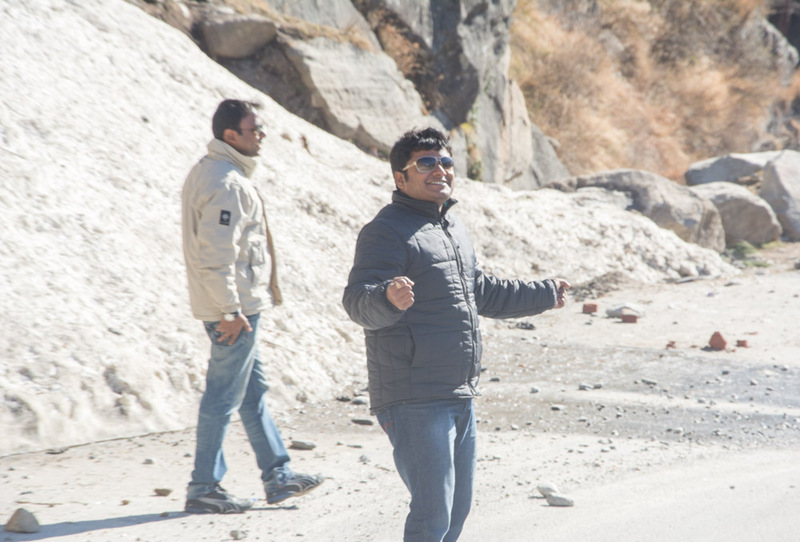 It had been close to 2 years since we planned for a trip, due to closed roads to Leh, we had to settle with Manali. 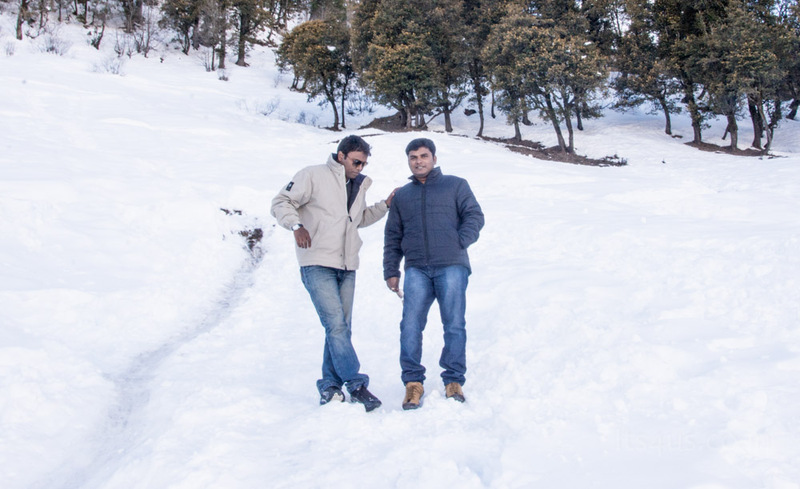 Even Though hitting Leh was the ultimatum but Manali in winters was no letdown. 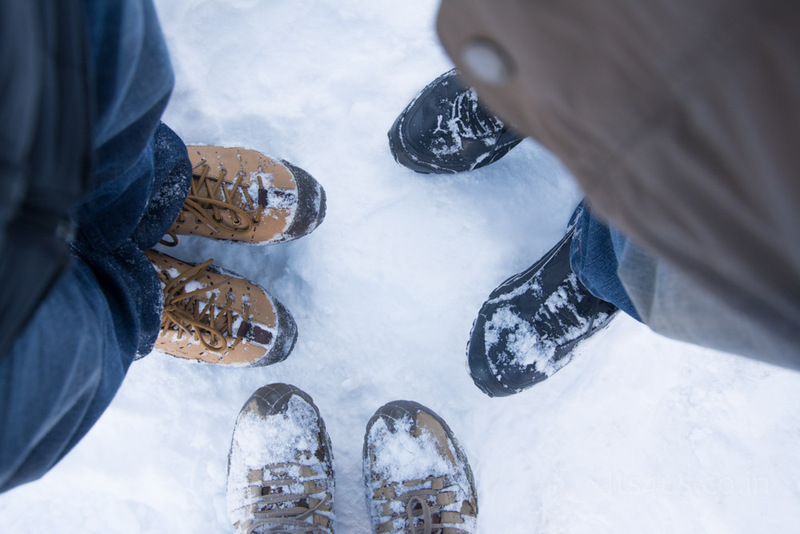 It was an all new experience for us to feel the snow. 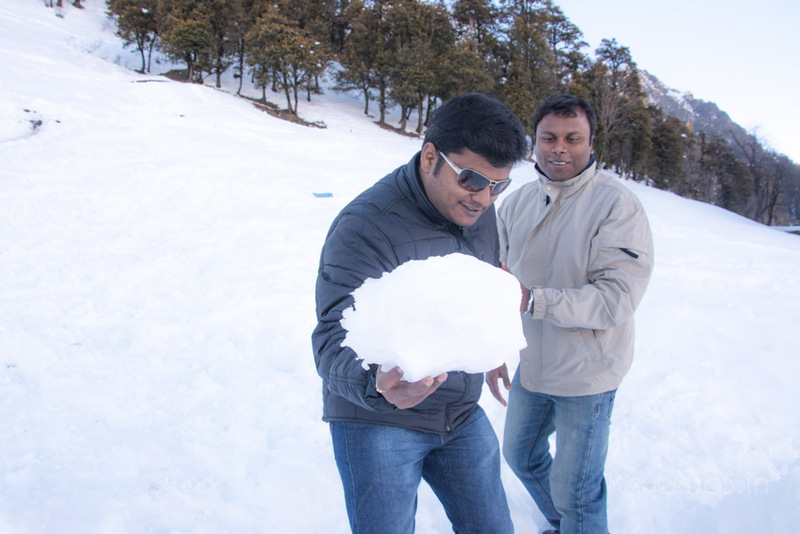 We had been used to chilling winter of Coonoor but closest we could get was frost. 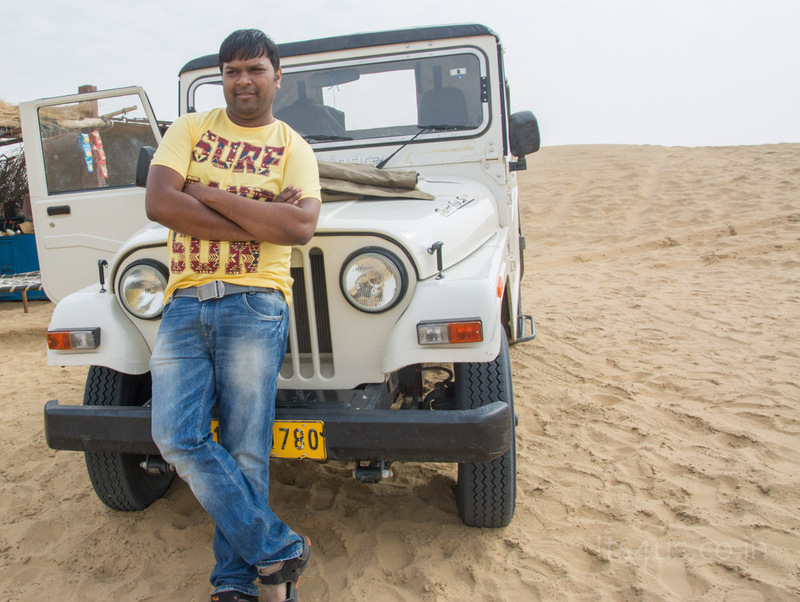 The sand and salt were a quick addons, an idea of Sathiya; which was seamlessly perfected with a roadmap. Personally, initial thoughts were on the funding, a dilemma (at least 2 of us) if it was necessary to spend on an expensive and exhaustive trip. 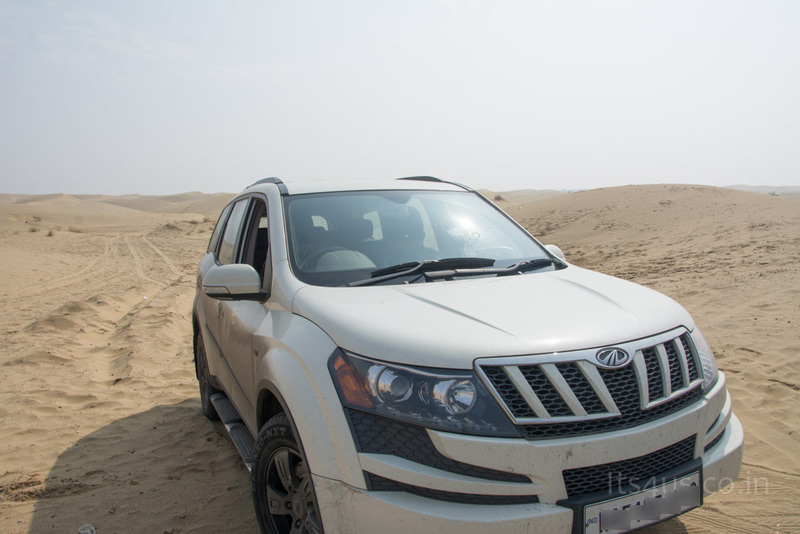 But the spirits were kept high at one of the corners, when Sathiya had invested INR 1700k on the marvelous XUV500 only for the trip. We had to emphasise at this point on the drawbacks of long term and extensive planning. 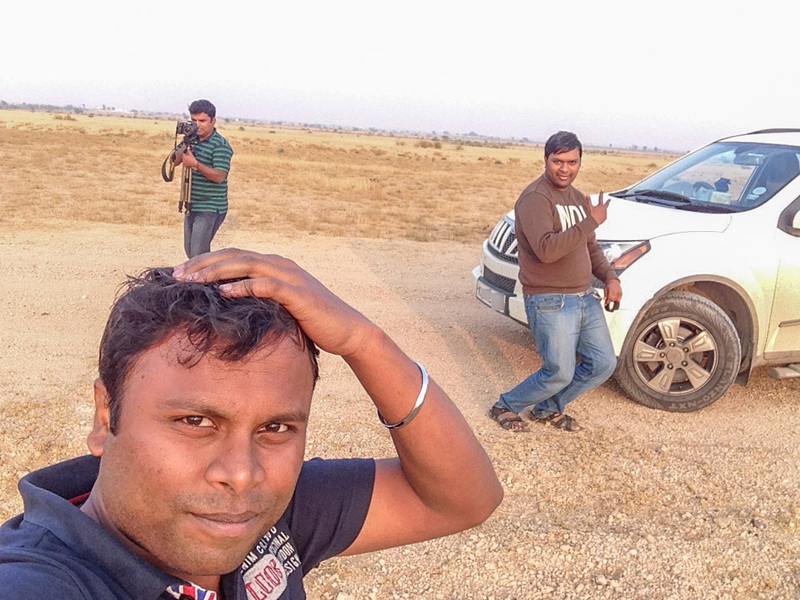 It was one hell of a organised move, when we imbibed the idea of the road trip which covered most parts of India. All the requirements were fine tuned, the roads, hotels, restaurants and other necessary amenities and updated on a Google sheet. End of the day, we realised that time spent on streamlining was getting out of control. This time along, the decision on the trip was a overnight move and with a month to spare on preparation for it. With not much time, the preparation had to take shape quickly, starting with servicing XUV, fixing first aid kit (with a ton of pills! ), a 20 litre water can, snacks and softdrinks for on board survival and wardrobe (mainly the warm wears). We also wanted to fix the restaurants and hotels, later realised there was much chances to waste time locating the place and may go off schedule. 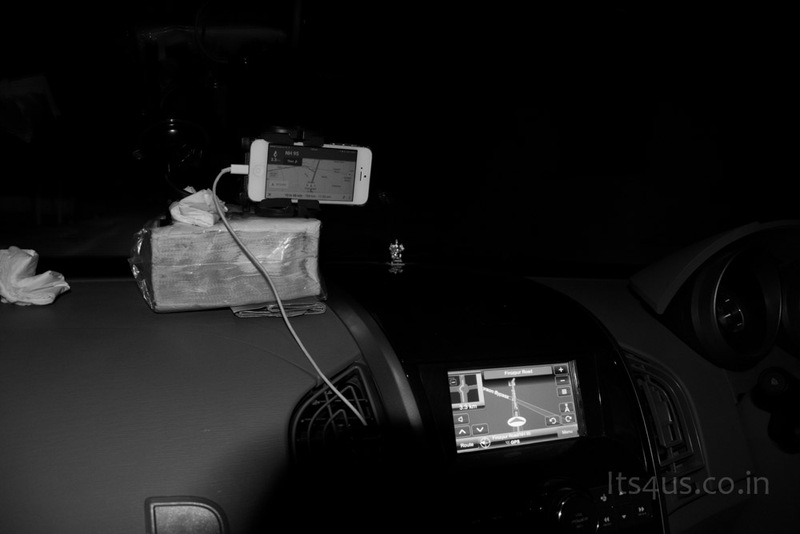 In the worst case, it was decided to manage with the on-board survival kit and spend the night in the car. To put a light on the hurdles, more than funding the key was to sync each ones schedule. 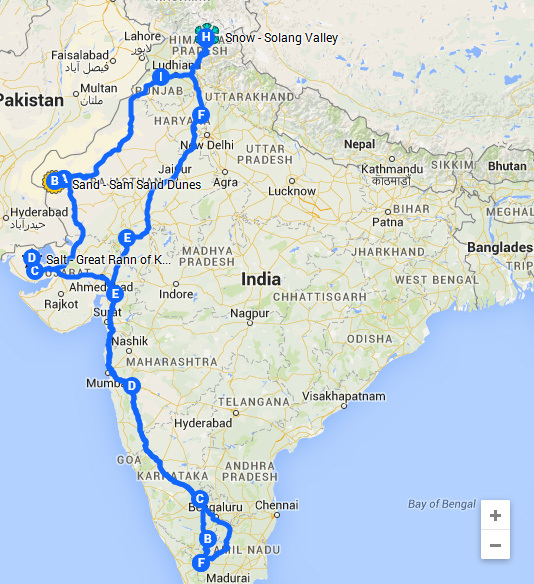 A 13 day vacation was critical, since the trip was set for 7500+ kms which involved a lot of driving per day. 7616 Kms , 13 Days, 9 States and One Awesome Road Trip !! Starting the first day with a whopping 1100 kms as target Coimbatore to Pune, sounds crazy!! hang on, more madness to come. 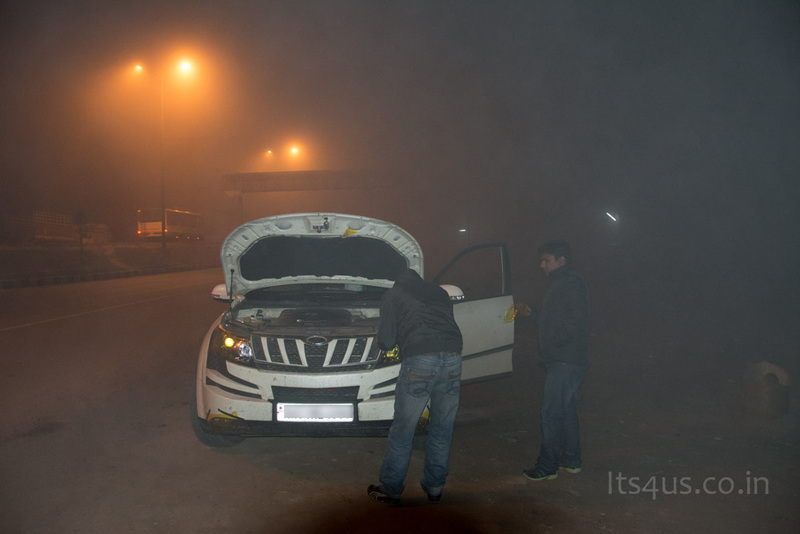 XUV was loaded previous night, started 4:30am after Dad and Mom wished us good luck and we started to roll. Need a lot of positive energy, stopped at three temples on the way including the famous Bannari Amman Temple . 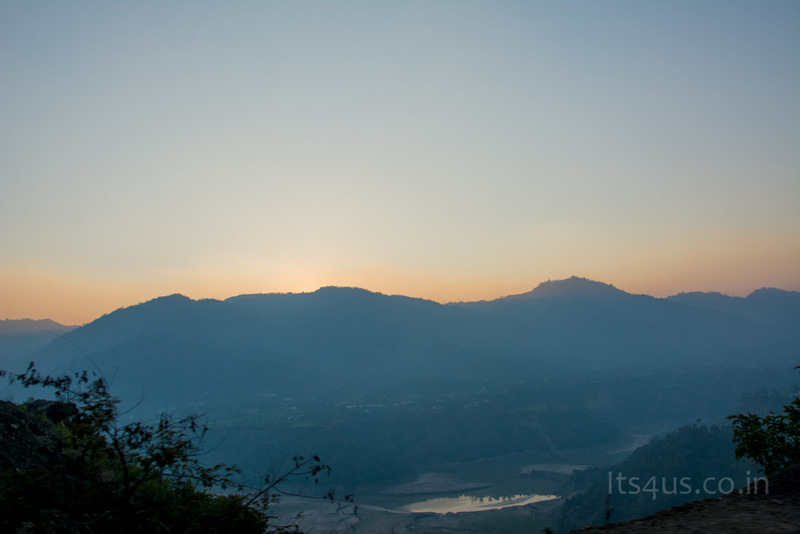 As the dawn, we slipped around the curvy Dhimbam ghat road. 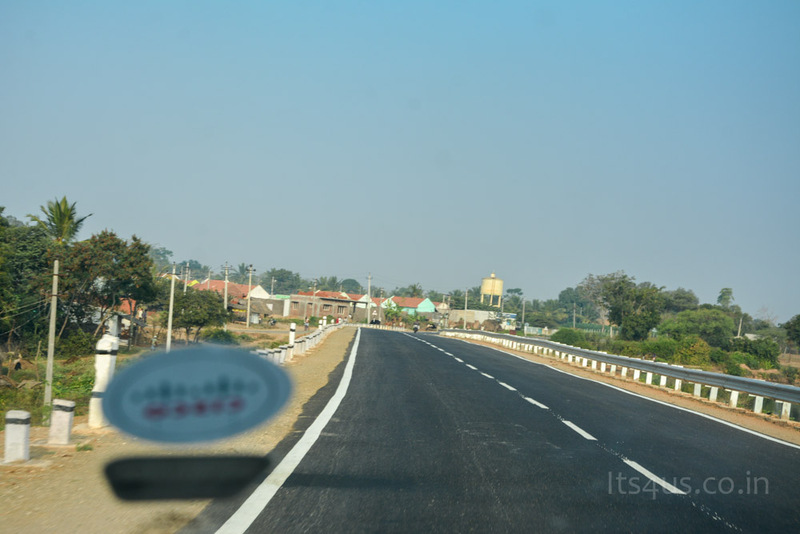 After lot of detours and sub 120 kms/h we meet Pune – Bangalore highway at Sira. Dinner was at McDonald’s Kolhapur and we reached Pune around 1.00AM picking up Amar. 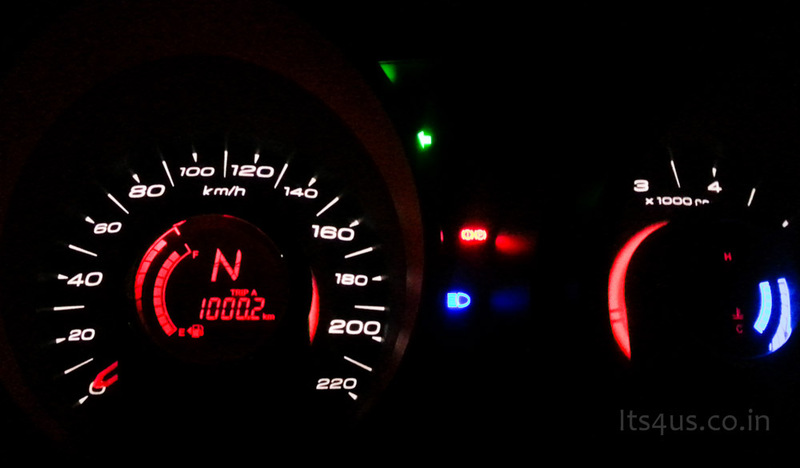 The First 1000 Kms on road !! 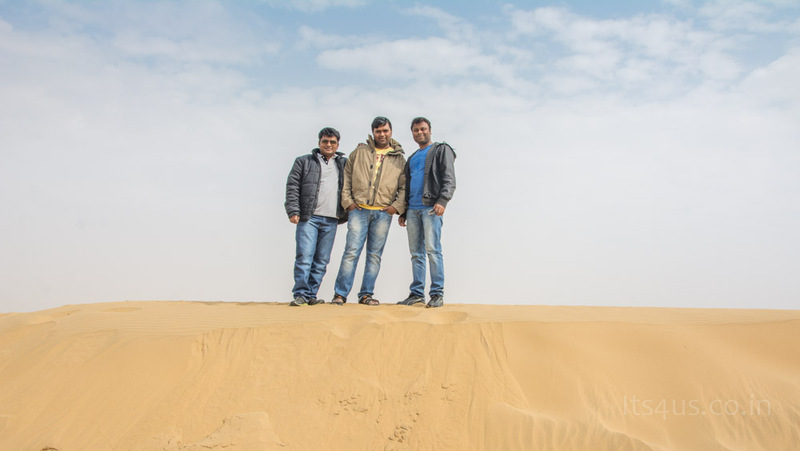 Day 2; From Pune – 3 Musketeers United! 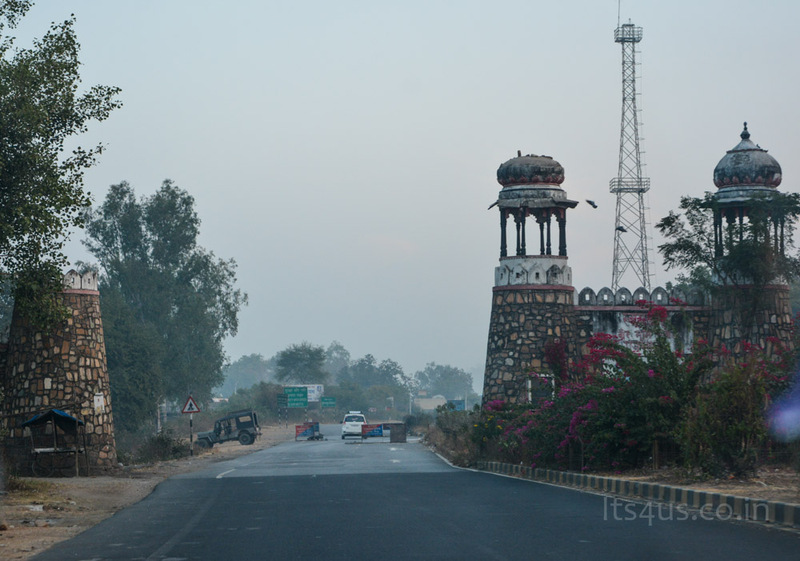 We left for Udaipur via Vadodara, it was beautiful morning which was almost ruined with the Mumbai traffic. 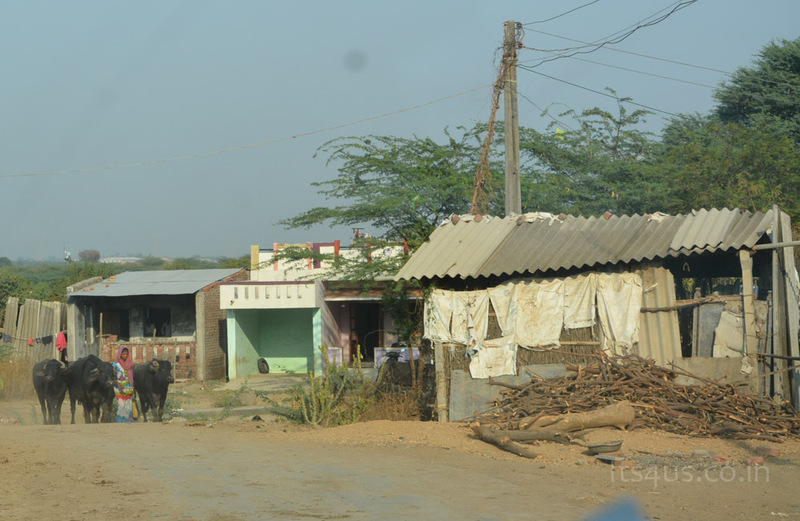 At Bharuch, there was heavy traffic jam, saw some of them turning into the narrow road alongside the highway. We had the scene from ‘Saroja’ movie in mind, even with GPS on board and worryingly we took a detour, with a single thought in mind to battle any adventure the trip could throw at us. 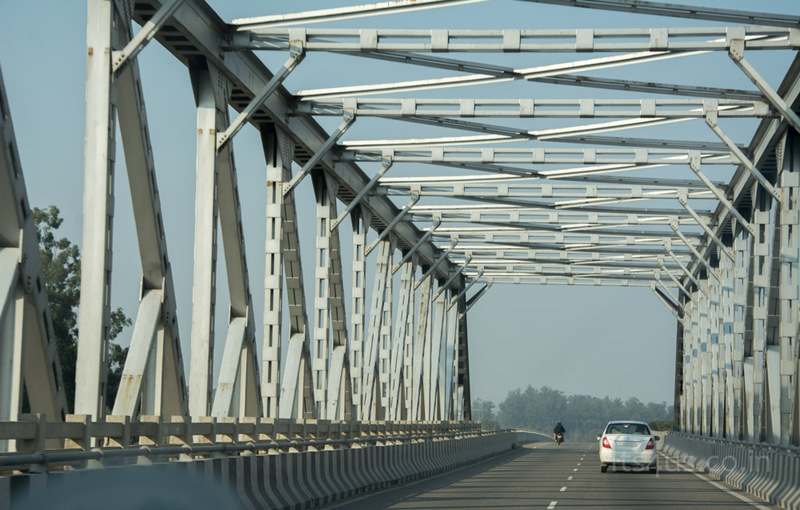 We managed to bypass at least 5kms of dead traffic and found out, it wasn’t an accident or a read block as cause of traffic, but was the ‘Narmada Bridge’. Even a detailed analysis of the road never showed a hint of such a narrow bridge feeding the commuters in and out of city. 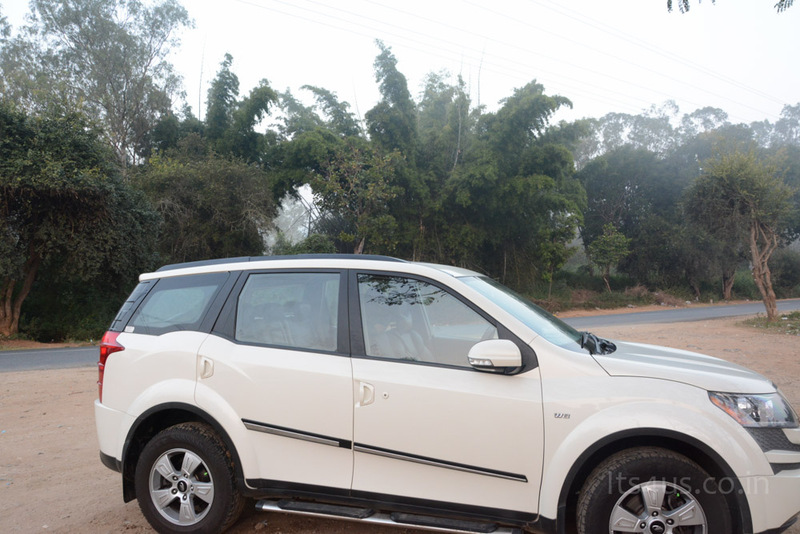 The bridge had just enough space for 2 sedans, with XUV on the road it was narrow fit, worst part was to manage it all 1.4kms. 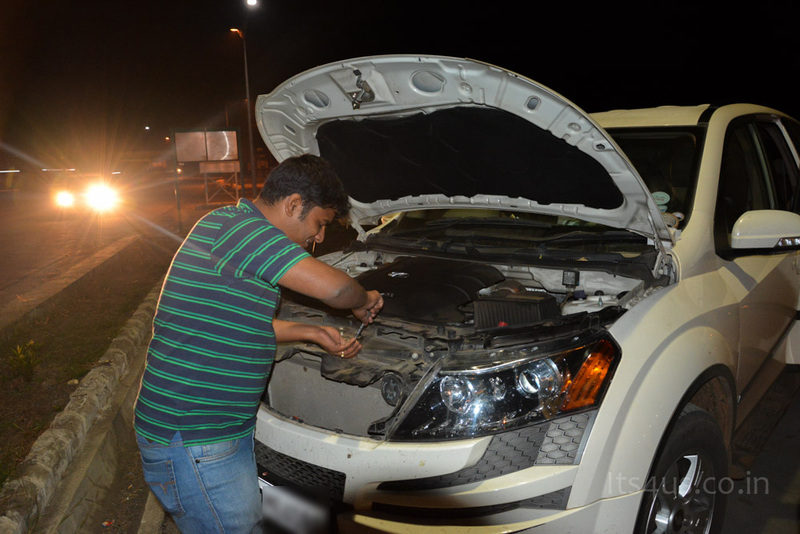 After an exhaustive drive, we headed to the Expressway and found one of the headlamp was fused. We made a pit stop at the food plaza to fix it, but the complicated setup of headlamp cluster eat away the valuable time. We made the first overnight stay in car, must appreciate the cozy seats, had a deep sleep. 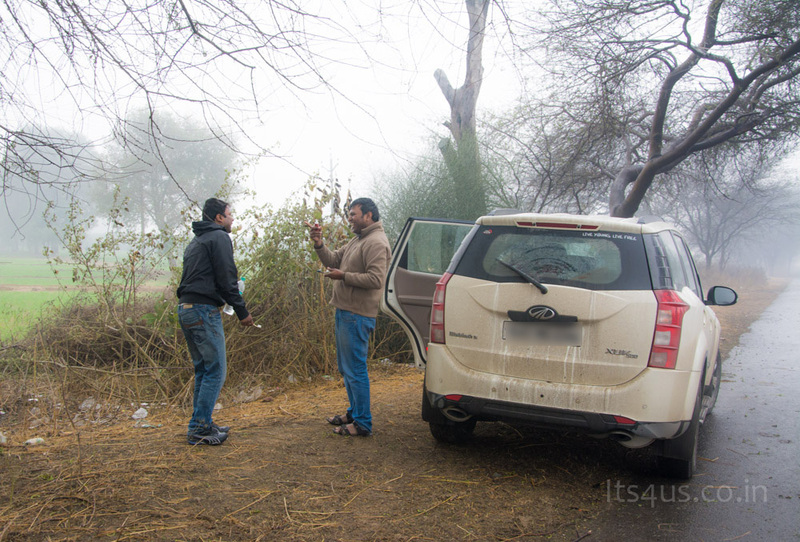 We made a early start even after a quick refresh and managed to drive through the morning fog to reached Udaipur. 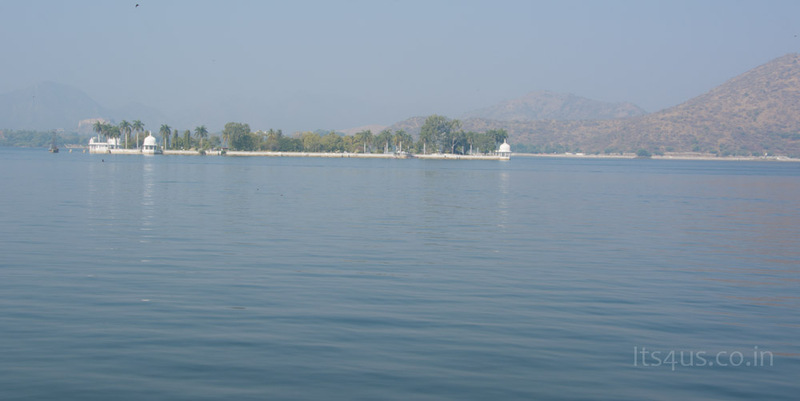 With a rough browse on the local attractions, we decided to hit ‘Fateh Sagar Lake’. A swift drive in the narrow route and ended up on the other side of the lake, a bit of a let down. 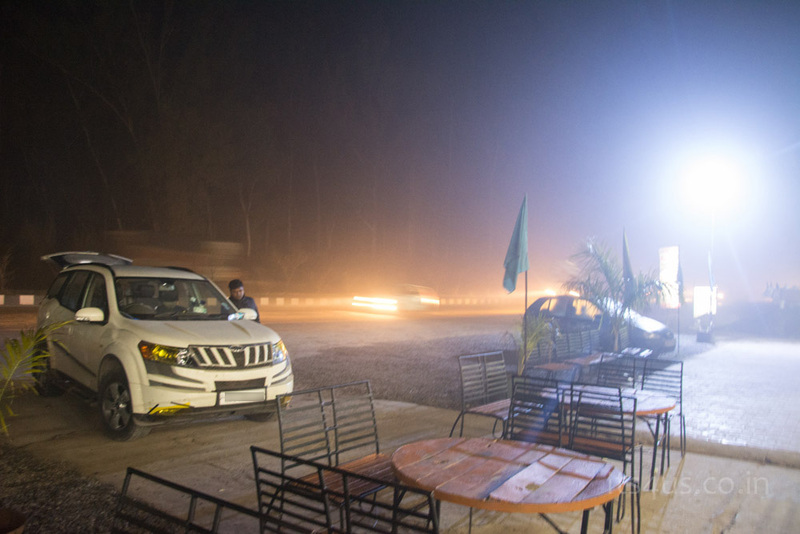 Cruised further in search of the destination, the drive progressed and went on till late night and found a safe spot at a Toll Plaza to park the vehicle and sleep over. It was not even 20mins and were woken up with a noisy ciren, it was the highway patrol and asked to make a move, hinting on ‘tyre thieves’!!. Pushed harder on the gas to find a motel to crash. 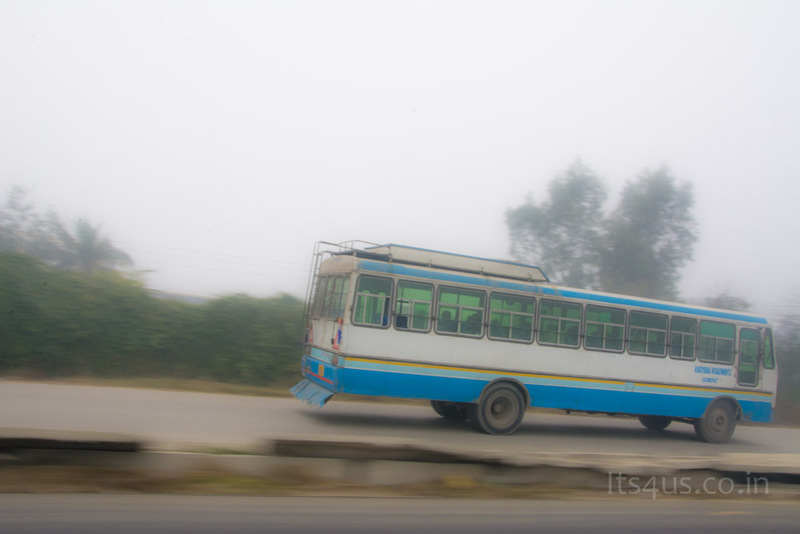 Post Rotak in a blanket of fog with only 30% visibility and speed not exceeding 40kmph, took a pit stop in a Dhaba around 2ish in the morning alongside some lorries. 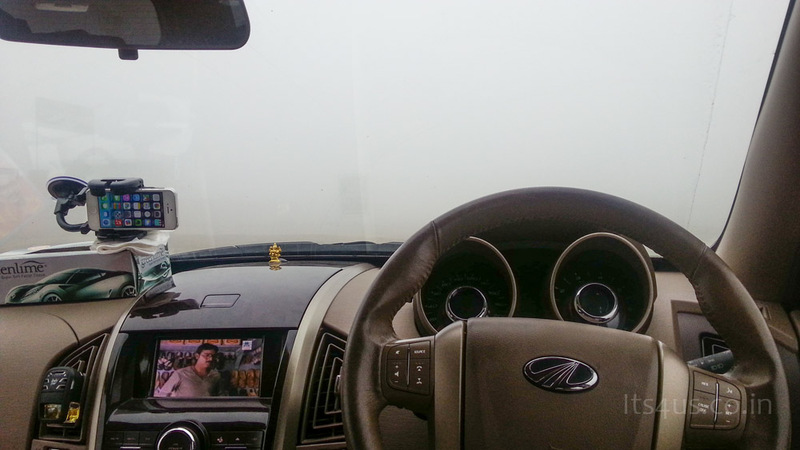 Heading towards Panipat the fog was unimaginable, not even 15 feet visibility this time. 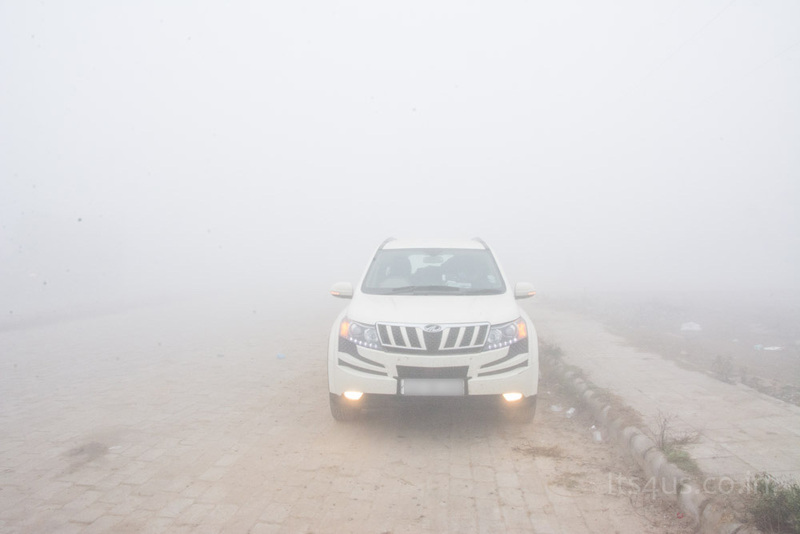 We were on NH1 after 40 kms drive in the fog, the worry of crashing into ongoing traffic was intense, hence stopped by a flyover till the fog settled. Since there was no signs of improvement after 5 hrs of wait, decided to make a move and realised that the visibility was not as bad as expected. Refreshed at CHD DaanaPaani Mall, stuffed some burgers and salads from Subway, the mood as all set for the ‘snow’. Enjoying a movie. Due to the thick fog !! 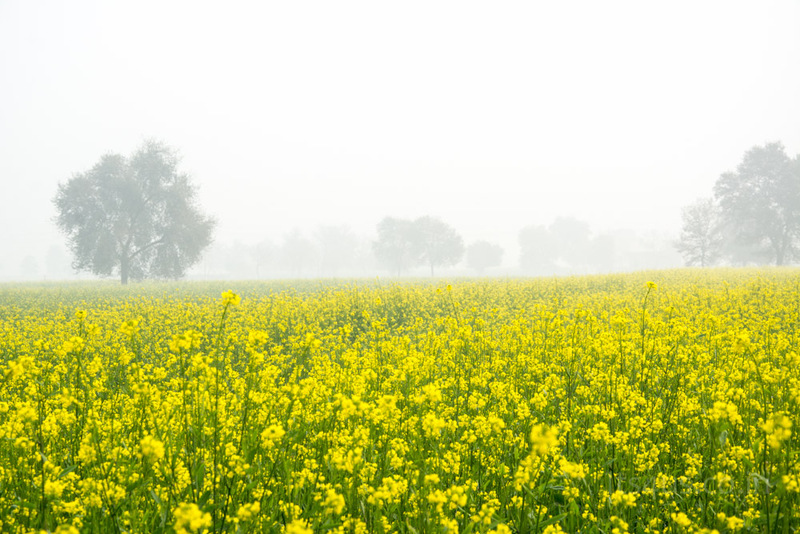 The mesmerising beauty of ‘sarson ke khet’ driving through Patiala and Ambala City. To make the day special, it was Shankar’s birthday. We had plans to have a cake organised, which didn’t turn up as expected. 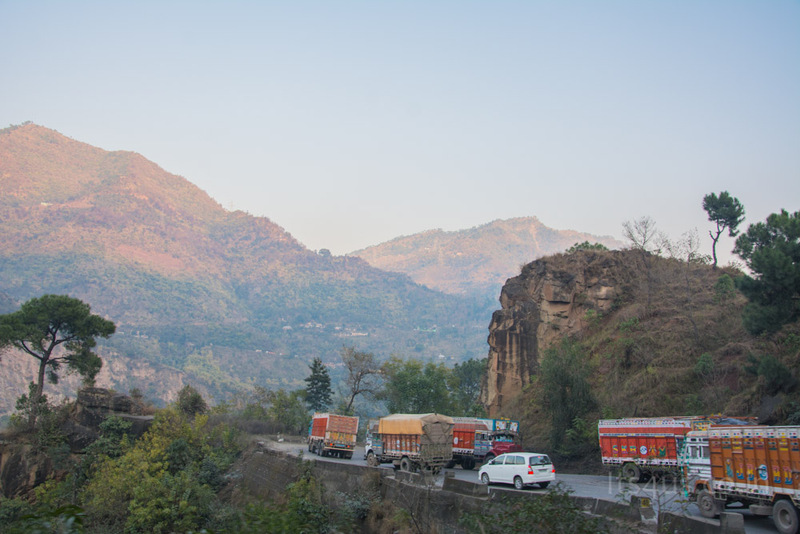 Initial phase of climbing the ghat road was filled with truckers this slowed down our ride. A long and tiring drive got us to Mandi, our plan was to reach Manali but the food at Mandi was fabulous, ate tummy full and settled at the same hotel. Day 5;In search of snow! 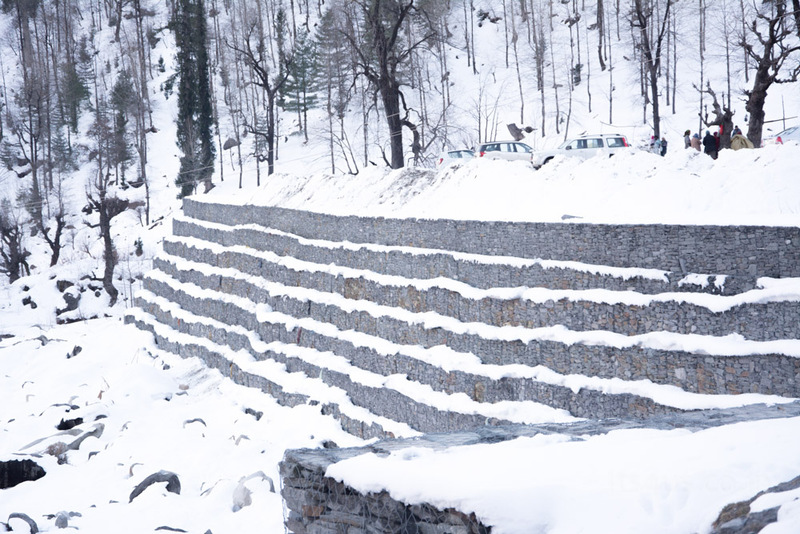 We started early around 8am, crossed Kullu and with high hopes to see snow. The visible scene was a few mountains far away draped in a white sheet. 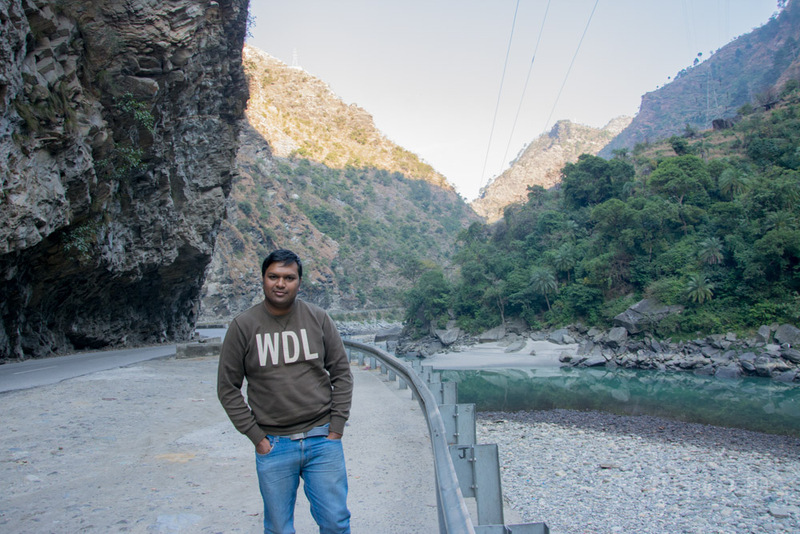 The drive was a slow as we were enjoying the splendid himalayan landscape, doubted to make it to the spot. 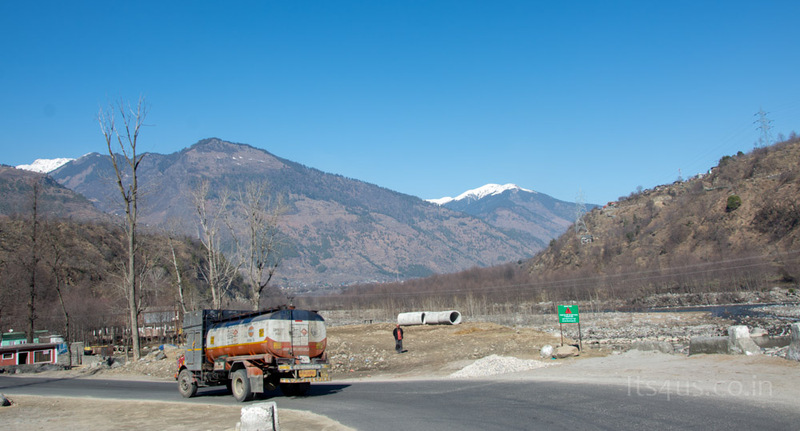 The beauty of Beas River was pleasing, driving alongside opened the road to mountain view, where we stopped for breakfast. Crunchy cornflakes in strawberry flavor in cold milk and mixed fruit juice was nice combination. 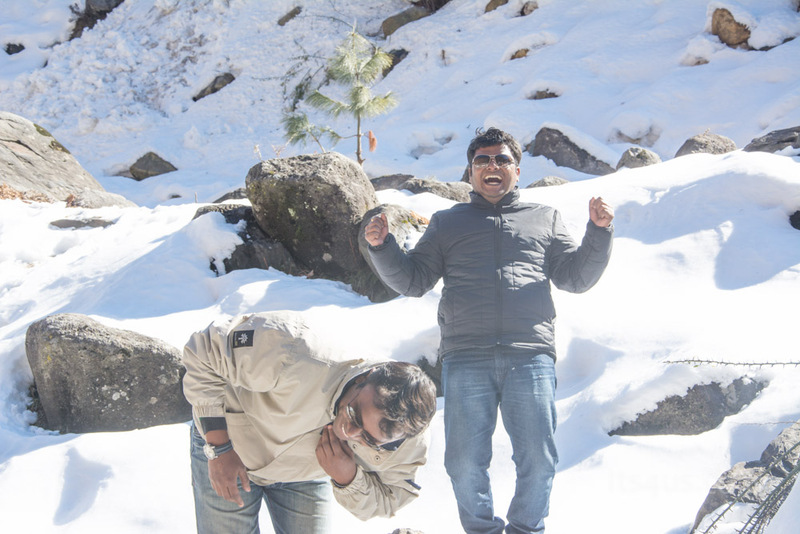 Can’t explain the expression as we saw chunks of frozen of ice on the roadside, some 20 kms to Manali. Funny bit was when Me and Shankar jumped out of the car to check if it was real. Heading towards snow, stopped at the check post and had a friendly chat with a BSF, its when Shankar’s inner Army personnel steps out. 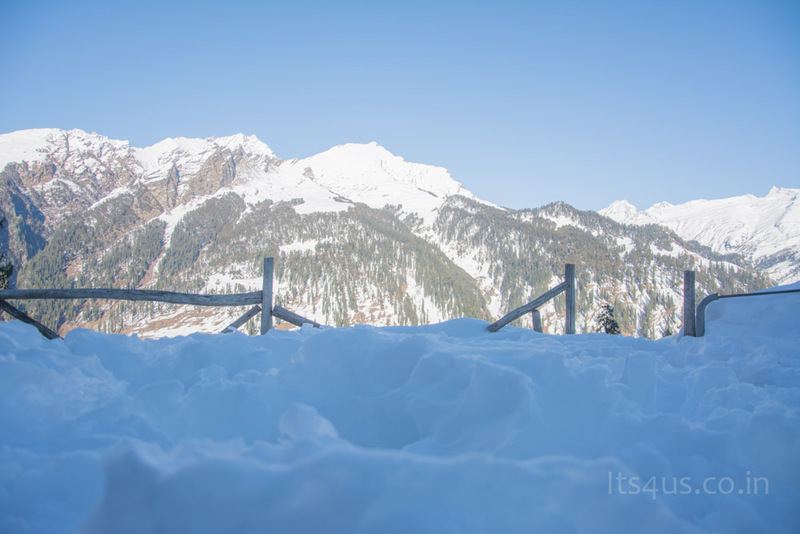 The maximum distance we could cover further was only up till Solang valley and Rohtang Pass was closed due to heavy snow. Clicking as many pics as possible we inched slowly towards Solang and reached at 2pm. 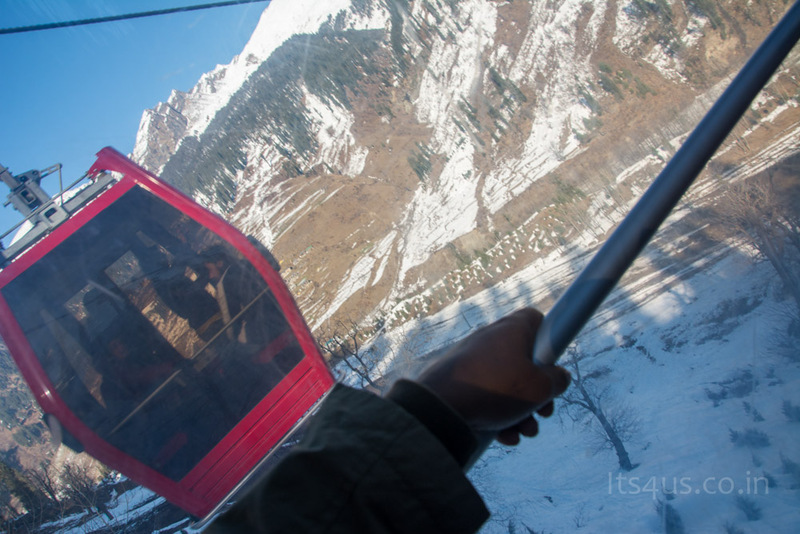 Such a scenic beauty, spent some time in snow, took a cable car for a dash of fresh snow. It’s when we found out an interesting secret, Shankar was scared of heights, so much that he starts ‘laughing’ and ‘crying’ at the same time!. After 5 day our first update to the world via Instagram !! 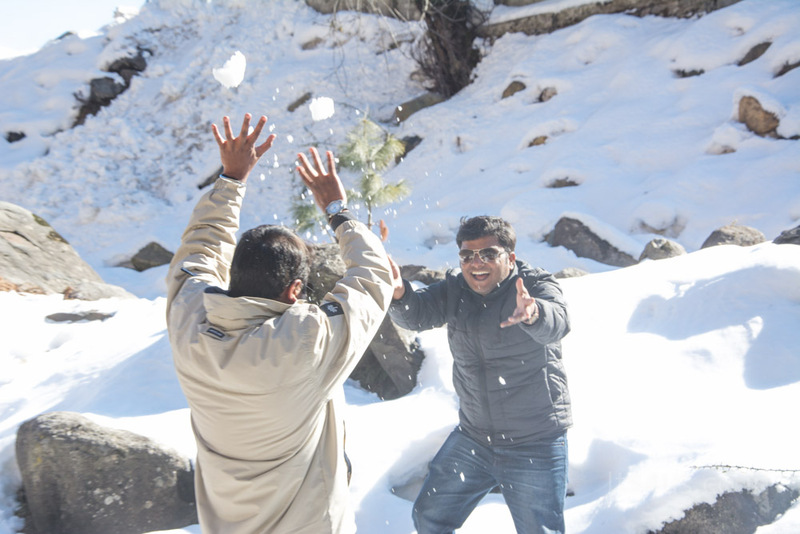 First time in snow, spent 3 hrs till our fingers got numb and Shankar slipped to bruise himself. Settled with a cup of tea, which tasted gross but need some hot fluid to stay warm. 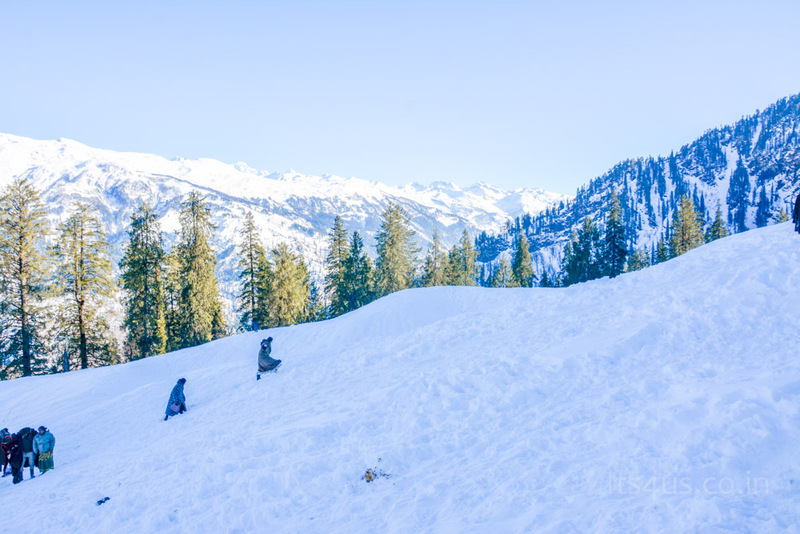 Simply running out of words to ink down all the fun, as scheduled Manali was on the course of the 5th day for we see it as a wait of 20 years. We wanted to make the evening special, browsed Tripadvisor for the best place to stay, which turned out to be a bad idea. Most of the reviews were misleading, or rather we were in off season visit. The hotel Greenfield, situated on the way to Hadimba Temple, claimed to be best under the budget. The food was horrific and stay just ‘OK’, its then we found out the whole place settles before 6PM, even the hotels were least bothered for a formal invitation or rather looked disturbed as guests arrived. 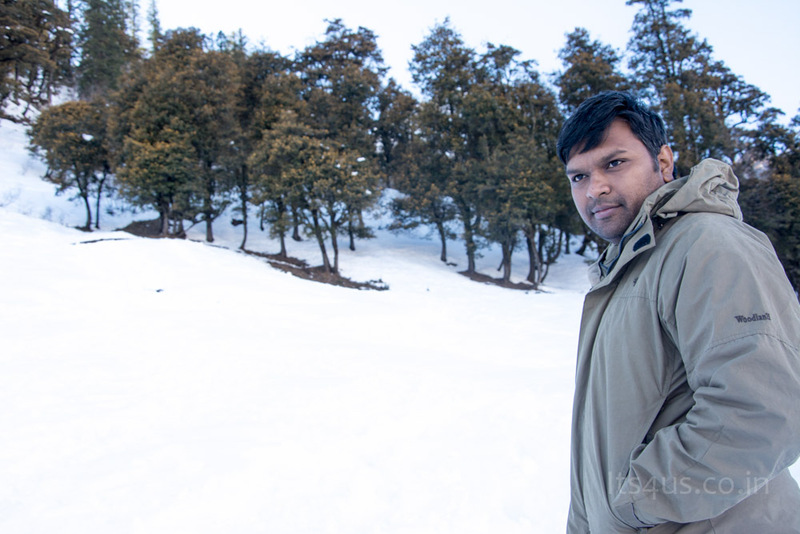 It was tring and the cozy with room heater, the next morning revealed the beauty of the peaks with a sheet of snow. 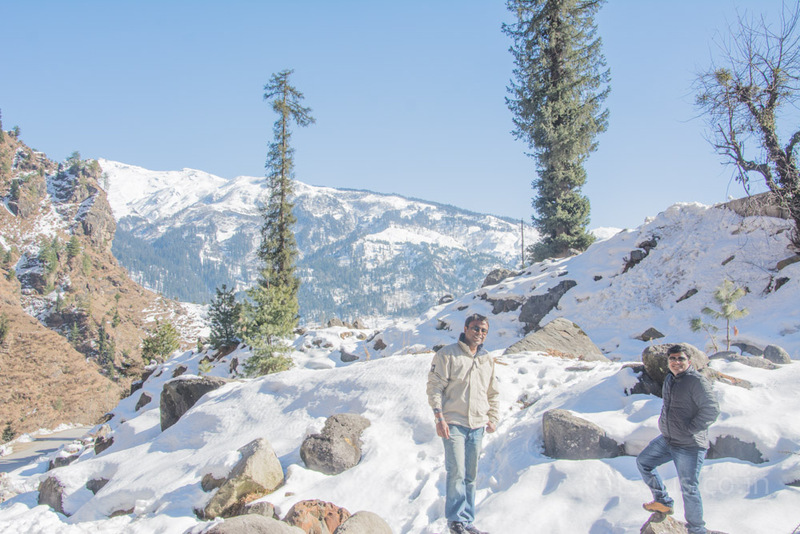 We decided to change the 3 days stay at Manali, since being in snow was heart filling and move towards Sand Dunes. 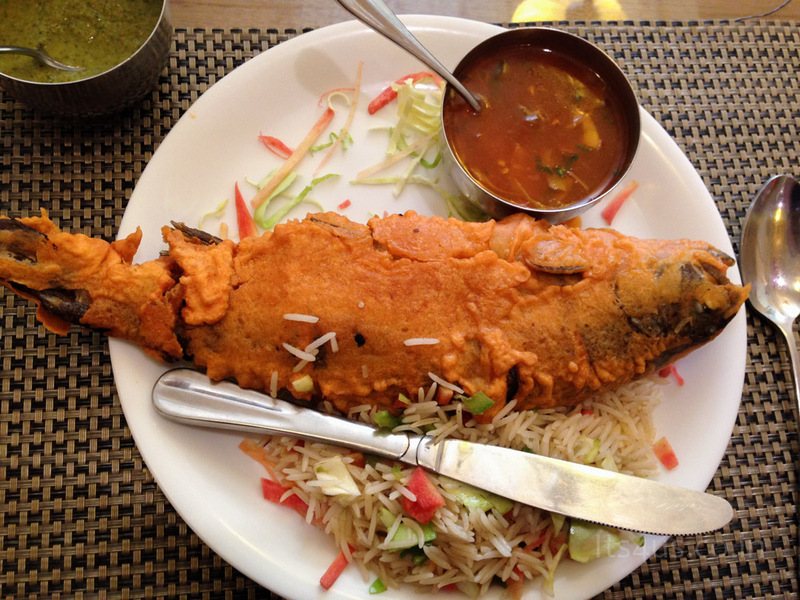 But first a good brunch, we walked down the Mall road and settled down with Dawat restaurant. Food served was fantastic especially the fried Trout fish and Veg chopsuey. On the way, we saw a few apple sellers, though it wasn’t the season, with curiosity stepped close to see how they managed to preserve them for the winter. No trick, the apples were dry and wrinkled, the shopkeeper claimed that these would taste better than the fresh ones, good marketing strategy! 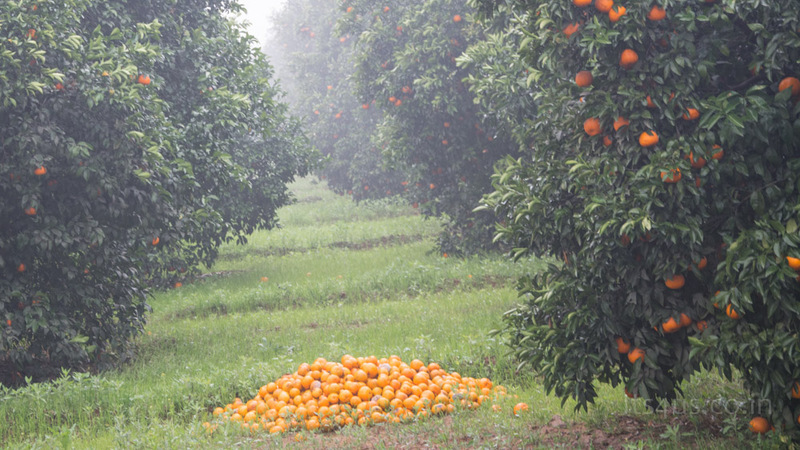 of course it would be sweeter when the fruit loses 30% of its water content. 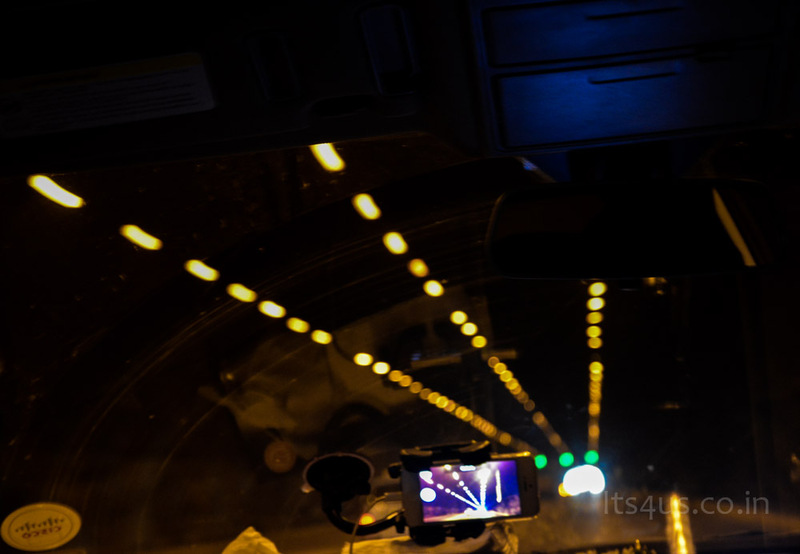 Further down, we blasted through the tunnel, appreciating the architecture. 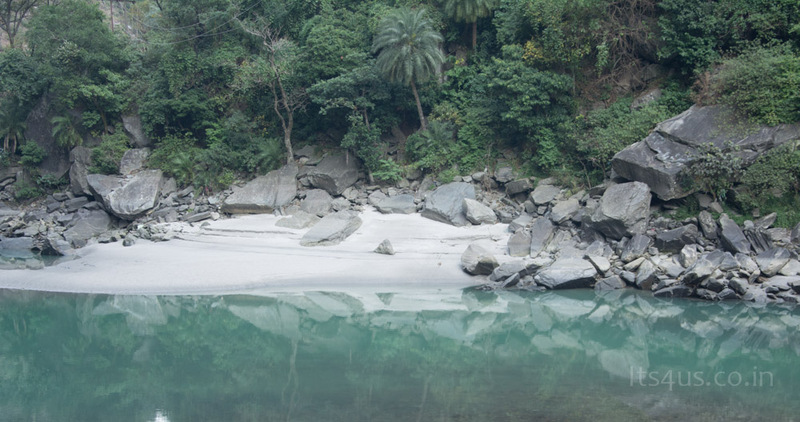 Dropped at a resting point at the ghat road and saw this part of the Beas River, which lacked active stream due to the couple of dams built for hydroelectric power. This place was out of the world, the turquoise green water, white sand, some palm trees (at least of similar family) and lush green shrubs, imitating the scene of an island in Vietnam. 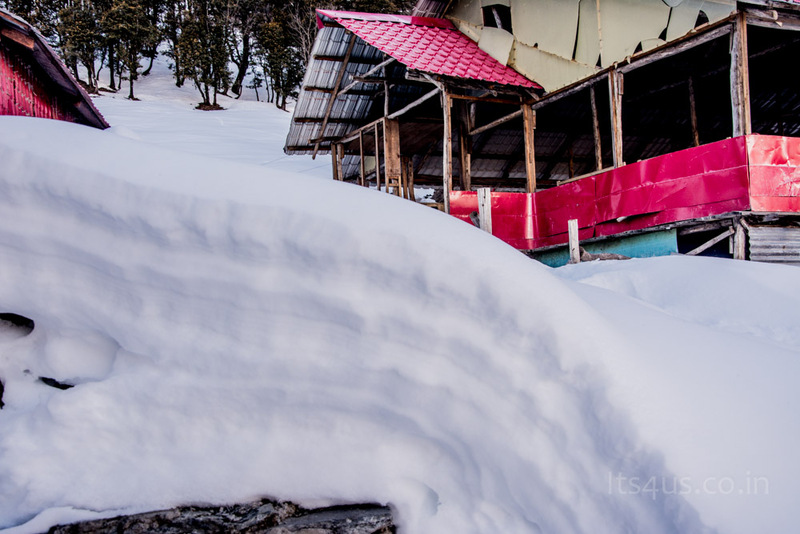 To explain further, we were already mesmerized with beauty of the snow this was like an ‘icing on the cake’. 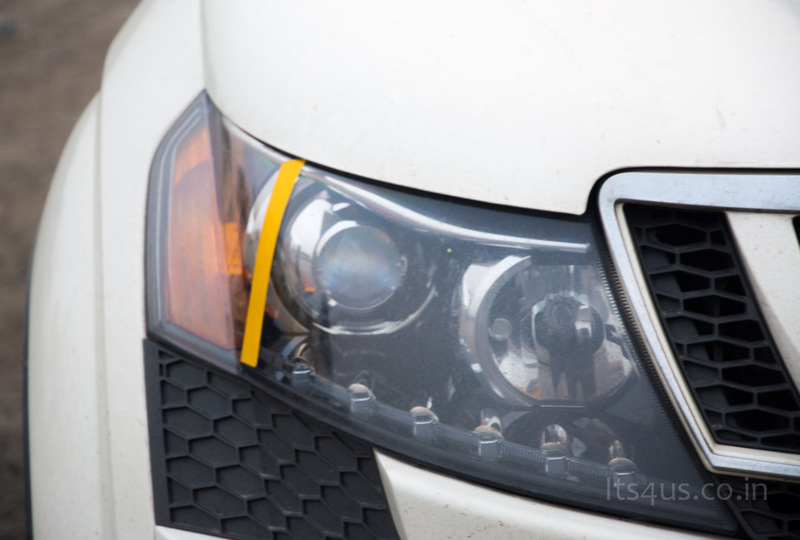 As we downhilled, the issue with fog was a major worry, some of the quick fixes we noticed that lorries used yellow plastic sheets to cover the headlamps, instead of a fog lamp. Wasn’t a bad idea but finding a place to get the sheet was a concern. 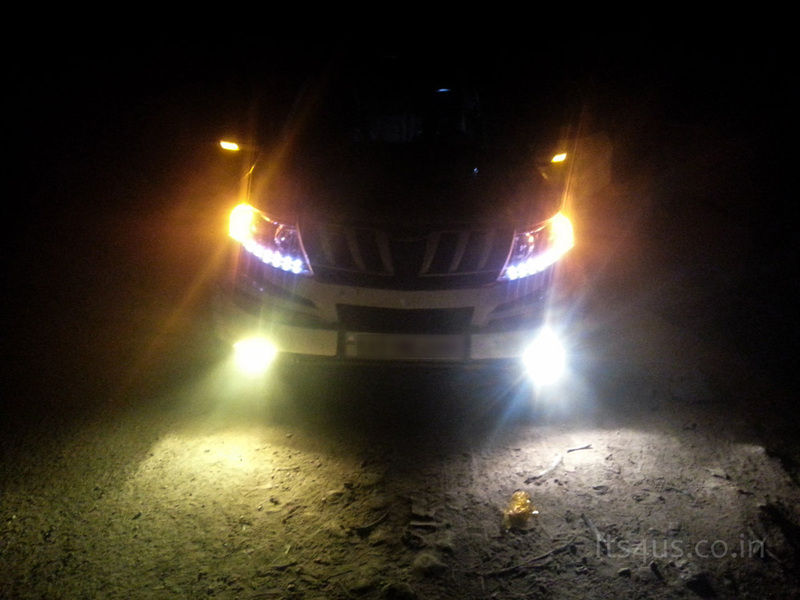 After 20kms and stopped at 5 different places there was relief, with a roll of tape and a few sheets the Halogen lamps transformed into Fog lamps. 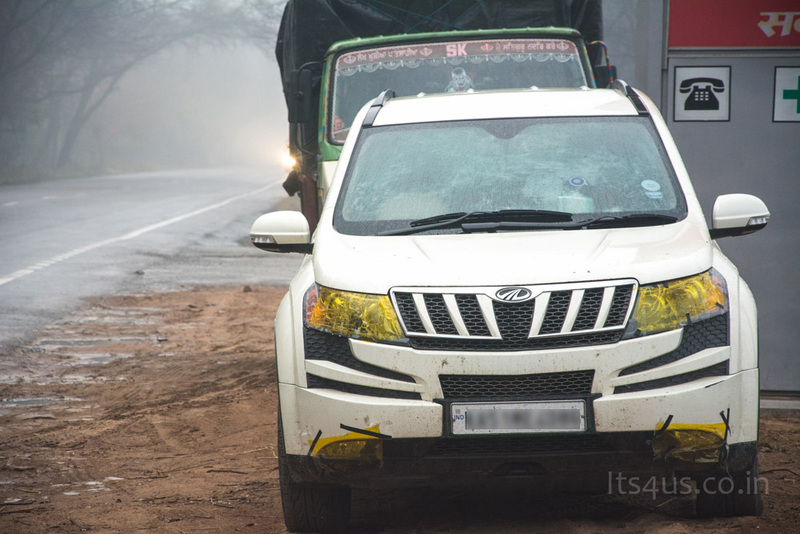 With great efforts, maneuvered the sharp corner and broken roads, even with the XUV along, it was easy to identify the true off roaders in such roads, the lorries! 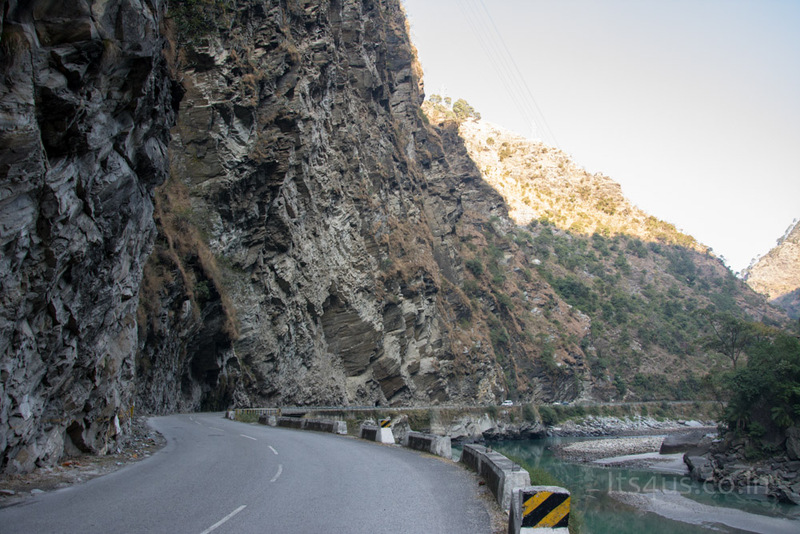 Soon we were left the ghats which opened as a 4 lane road, ‘aaah’ such a relief. 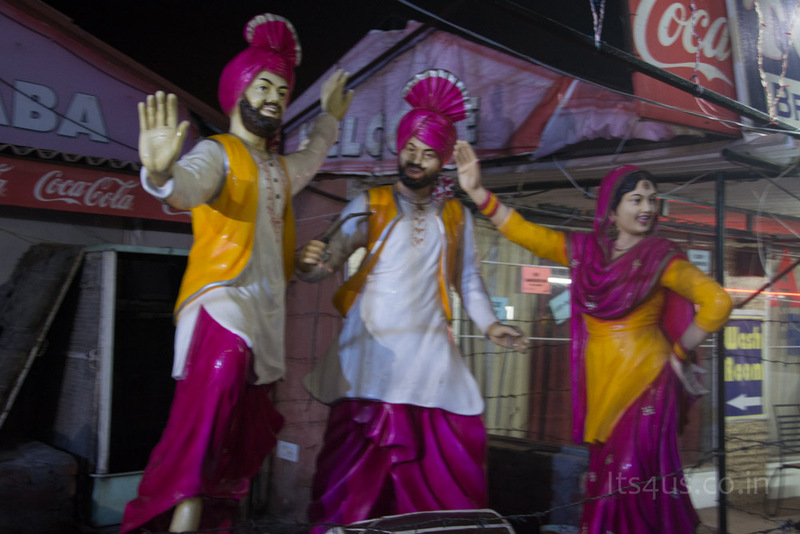 The dinner was at Punjabi Dhaba ‘Alphine Dhaba, Rupnagar’, exotic food with a typical flavor. 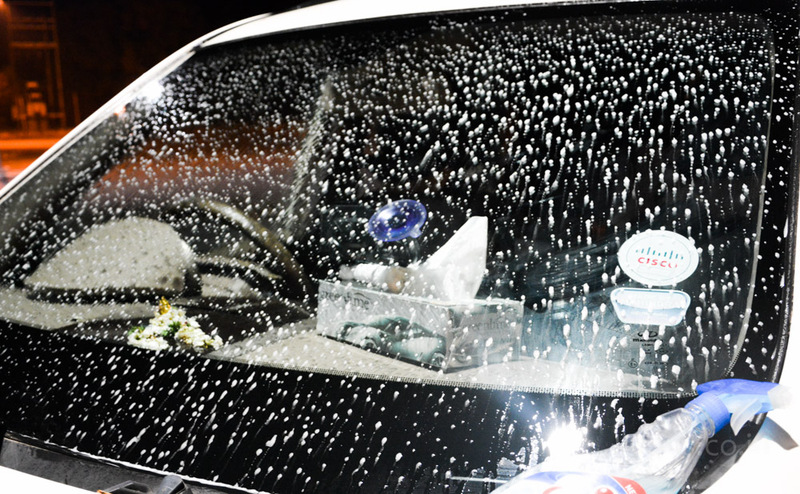 Following the heavy meal, we (me and Shankar) prepared the windshield for night drive, was a bit of task in such a cold climate. It was time for nap and finding a place to crash in thick fog was a nightmare. 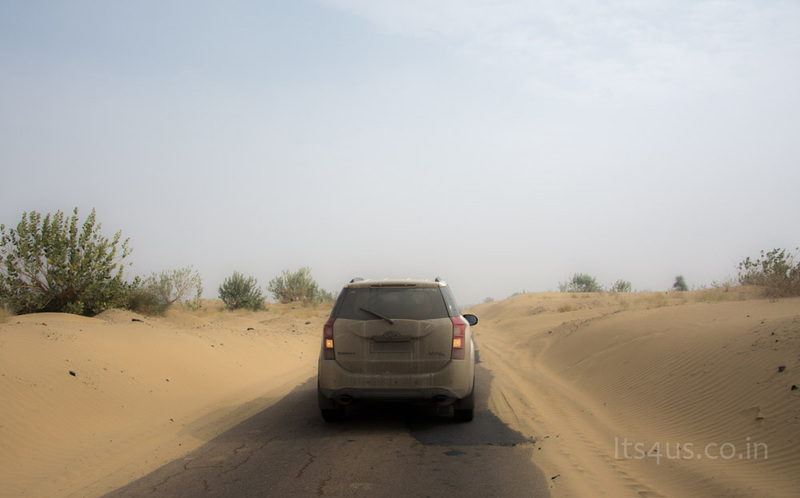 Later we were navigated () to a semifinished highway, lumps of mud (as a result of road extension), more than trying to stay on the road, the worry of crashing into it was a pain. To make the situation worse there was Fiat following us with high beams, the guy denied to overtake us, he wanted to run along our shadow to be on the safer side. Fix was not enough for low beams stopped to get it for high beam as well. We had decided to sleep over in the car but finding a safe place to park the car was near to impossible. 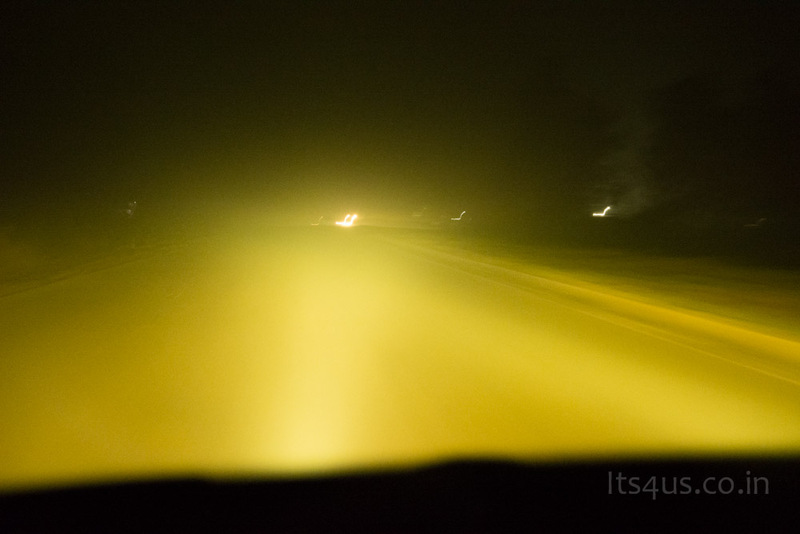 Soon the fog settled and 4 lane narrowed down to 2, forested with no sign of civilization. 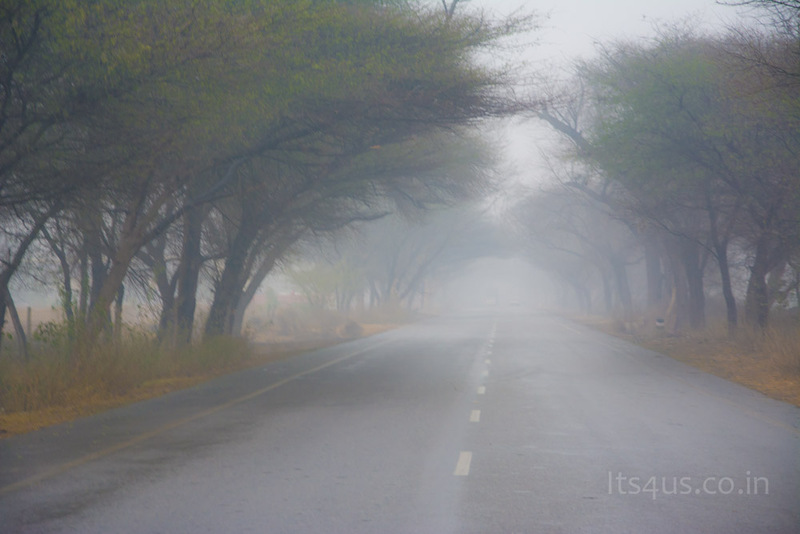 The map led us to a haunted place, the roads were dead straight but difficult to find the end of road. It was midnight and had been difficult to stay awake even after a few RedBulls. Shankar as usual was flat, snoring hard, as if he was down with a bottle of JD. 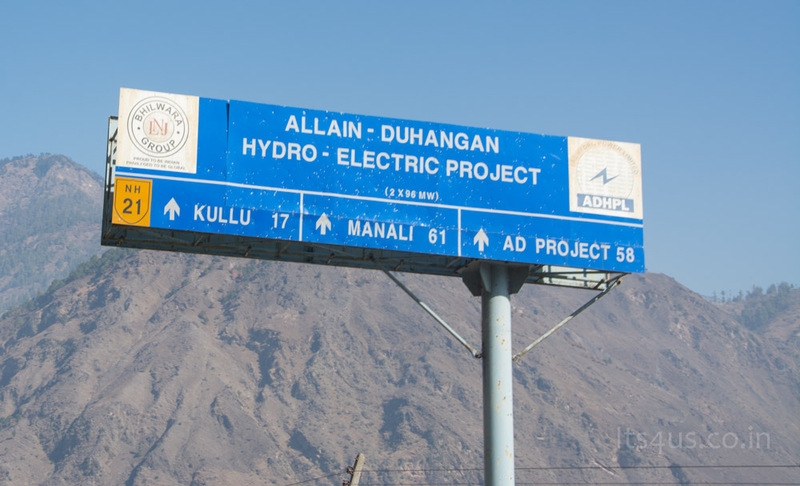 All of the sudden, we found the bright lighting alongside of the road, as we were through there was blackout music system restarted with a popping noise, scared the hell out of us. Still haven’t recovered from the shock, when we received a call from ‘My Number’ (on tye cars stereo system) were a girl navigating us to take left for something, God knows what it was. Amar with a shaky voice “ Dude keep right and don’t stop the car for any reason and I mean it ! !“ Oh Google navigation, I know it was you but why the hell on a creepy night for the first time ?? Continued driving and reached a place by a fuel bunk at around 3AM, slept for a few hours after the hard run. Day 7; In Search of Sand! 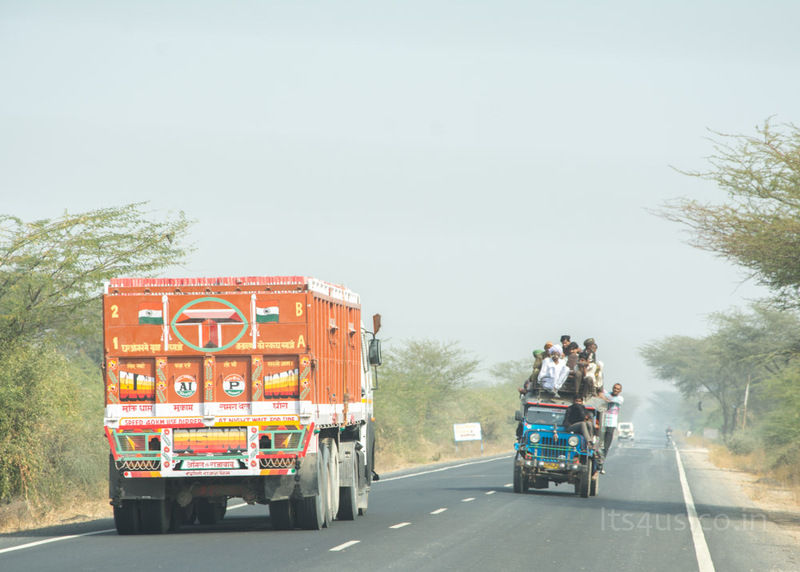 Towards Jaisalmer, next destination was ‘Sam sand dunes’. Tired of saying ‘a long drive’ again, the whole trip involved extensive and continuous driving. But still, here we go, even thinking about a 750+kms drive was a lot, post the overnight sleep over in the car there was a terrible need for a flat bed to crash. The desert drive was fabulous, the wide open road and dead straight’s. It came with a price, on straight roads all there was necessary was acceleration (taken care with cruise control) and braking (which was to the minimum), making the driver sleepy. 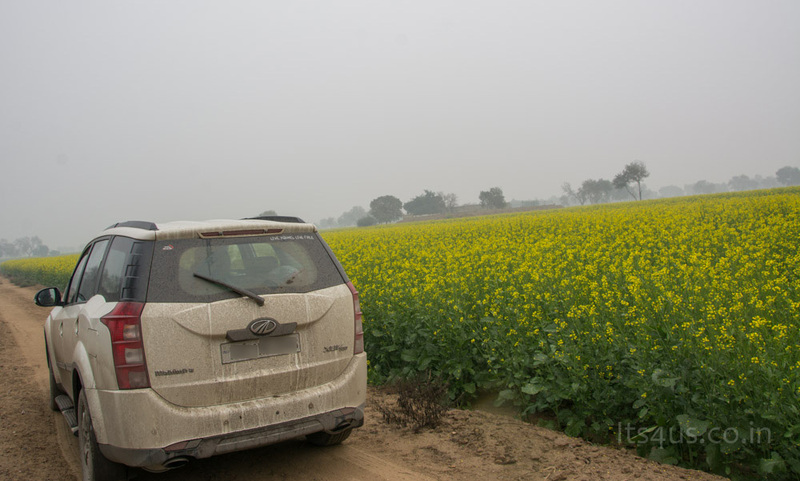 Later came to our notice that we were driving along the closest point in contact with Indian border, evident with excessive movement of the BSF and ARMY. 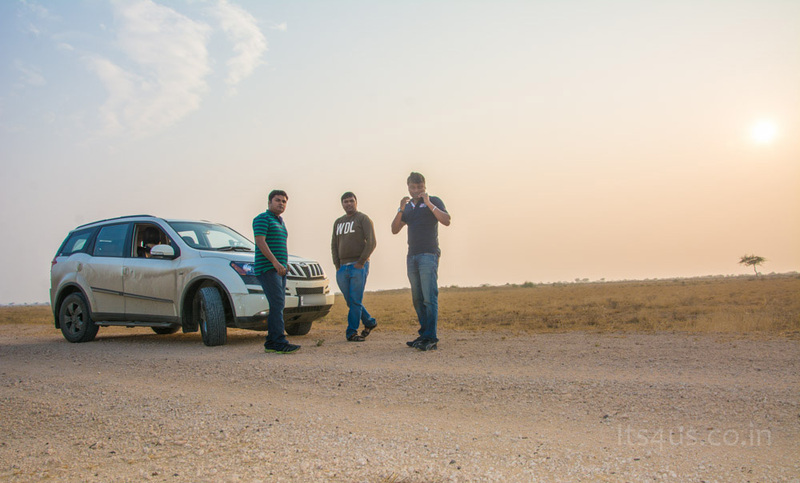 The typical quote which we all agree to, ‘its the drive and not the destination which makes the journey interesting’, we stopped at all the ad-hoc places to click pics. There were instances where we would missed a good scene and without a hitch, drove back to capture the moment. 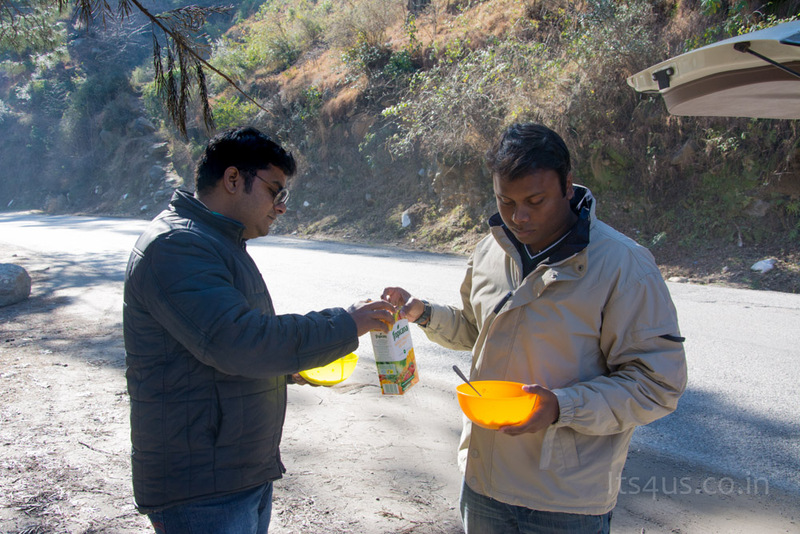 All the way, we had missed to mention about how foodie Shankar was, he possessed special skill to polish of the snacks. He was a fan of sweets, he had trained his system digest a kg of sugar in day. All these elaboration was a for a reason, so here is what happened. He spotted a Blackbuck (vaguely) and was too proud of it, did not know when he noticed that there were only 2 Snicker bars and 3 of us. He challenged us saying to confirm it, the bit was on one of the snickers, we (Me and Sathiya) stopped by to check it out and Shankar (to look for snickers), indeed there was Blackbuck at a long range. 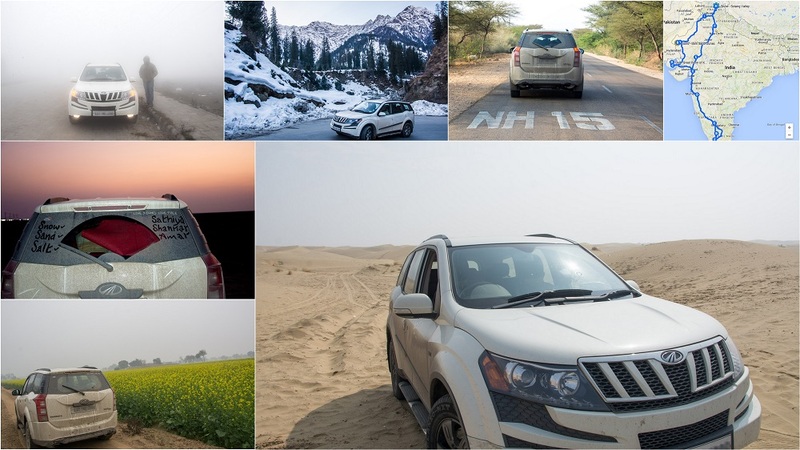 We had a photoshoot session of XUV, tried skidding and capturing in different angles (with Nikon DSLR, iPhone and onboard Galaxy S3), was commendable. 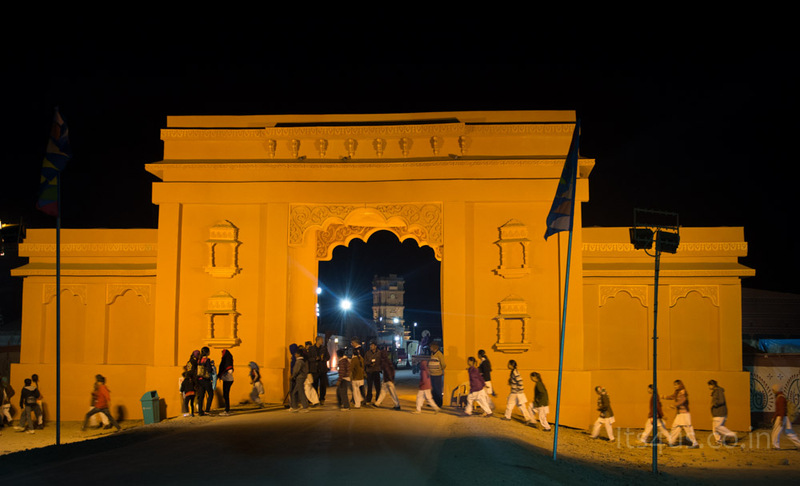 We were behind schedule to hit Jaisalmer, it was 11pm and the whole city was shut down. Let me quote here, the star hotels had no security at the gate, least bothered who would drop in. 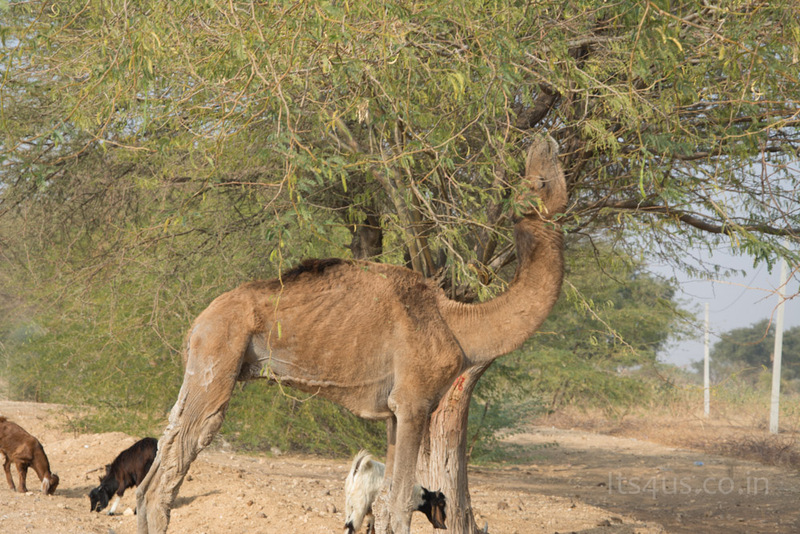 We all were dead hungry, in-turn saved the hunger for good Rajasthani food. To our luck, there was no restaurants open, it was midnight lost hopes in the city. Anyhow we managed to get some food and Shankar had already been down with headache, Me and Sathiya were pissed with the whole scene. 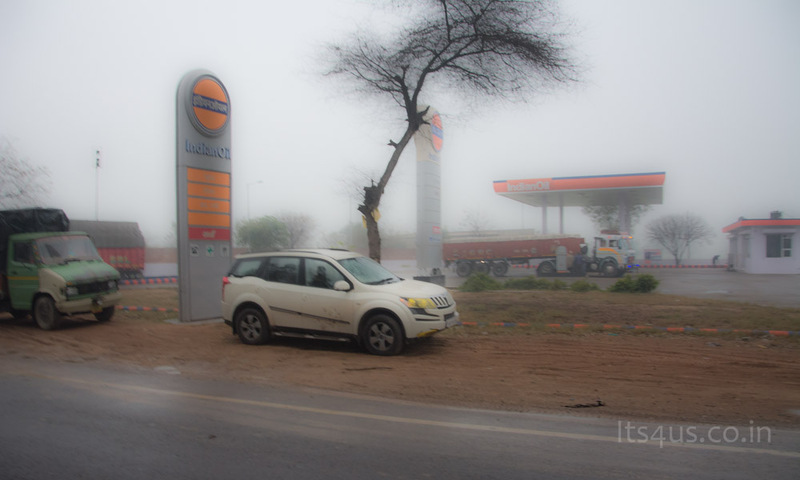 Drove into fog towards Sam to find a place to crash, spotted a Rajasthan Tourism Hotels, there was no one to answer. We bunked in the car with cozy blankets. we moved to the city of Jaisalmer to refresh and no mood to visit the fort after the horrific night. Believe me, deserts are not anything like shown in movies. It is not filled with Sand Dunes, a few places showed up on the way, but the desert which we saw a dry and plain. 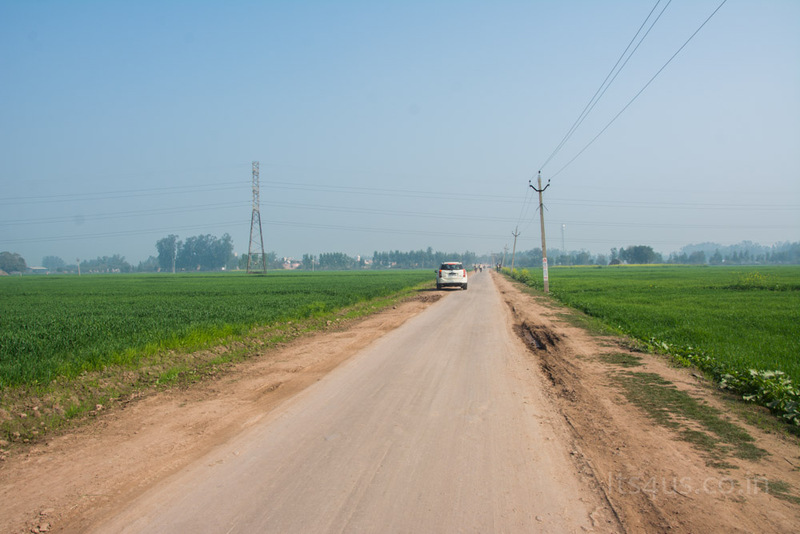 We passed the Sam village and had a urge to step to the closest to the Indian border, to avoid complication changed the plan and took a few snaps of sand course before returning. 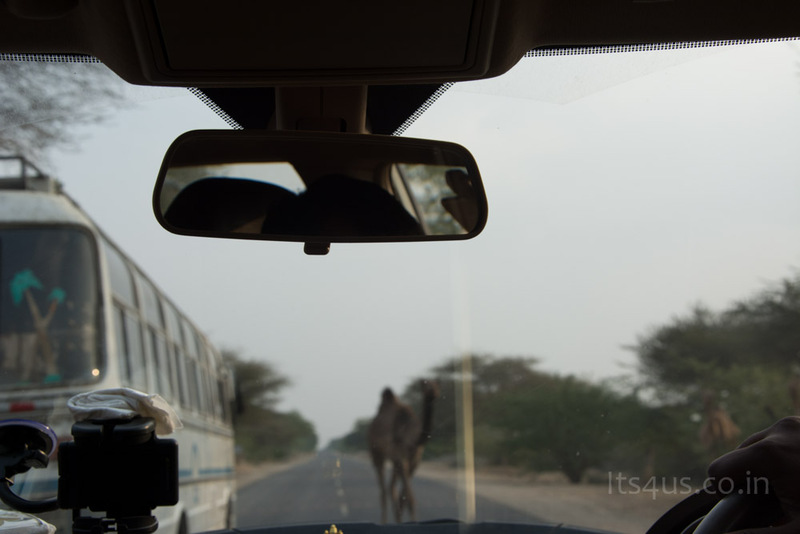 We were followed by a Mahindra Thar 4X4, they wanted to check if were up for a desert ride. 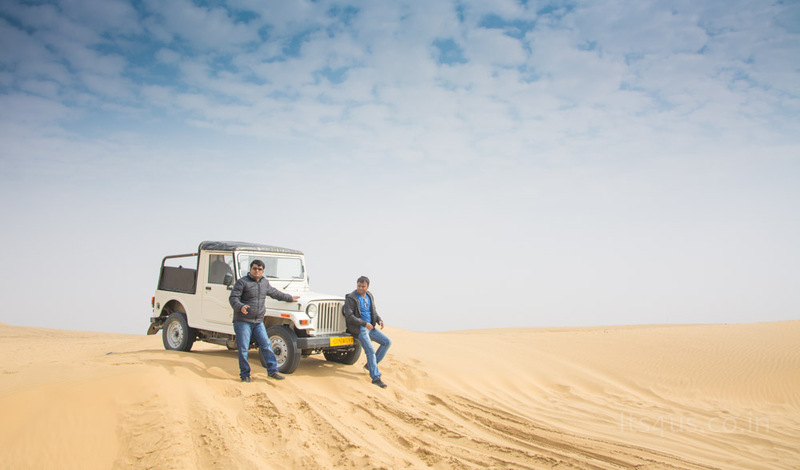 After a bit of negotiation, we were on a package of 15kms desert ride, the 4X4 drive was mad, implicating the feel of a roller coaster ride. Was one hell of a ride !!! 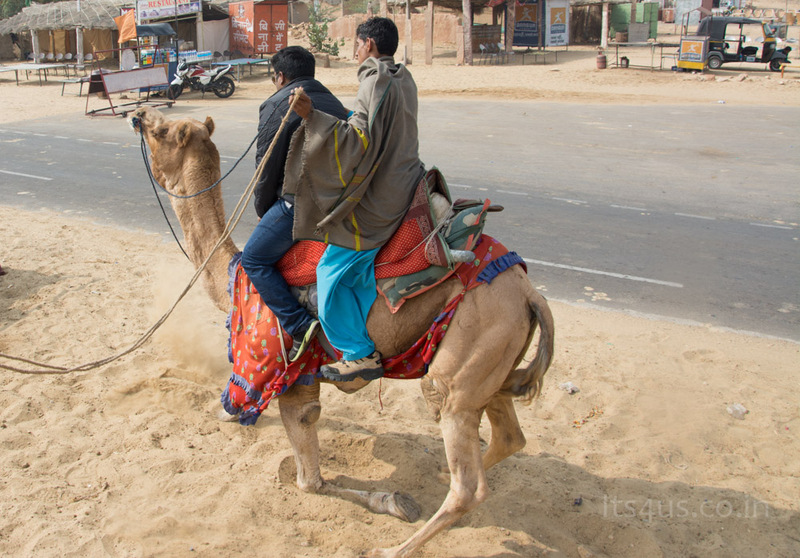 To add, we took a camel ride, for the people never even drove a horse, it was big deal. 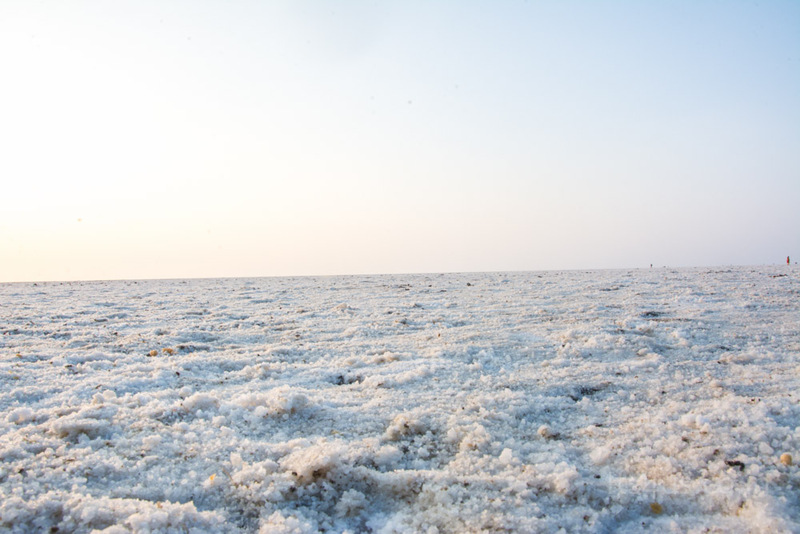 Now the focus was on the White desert (at Kutch), left the place post lunch. 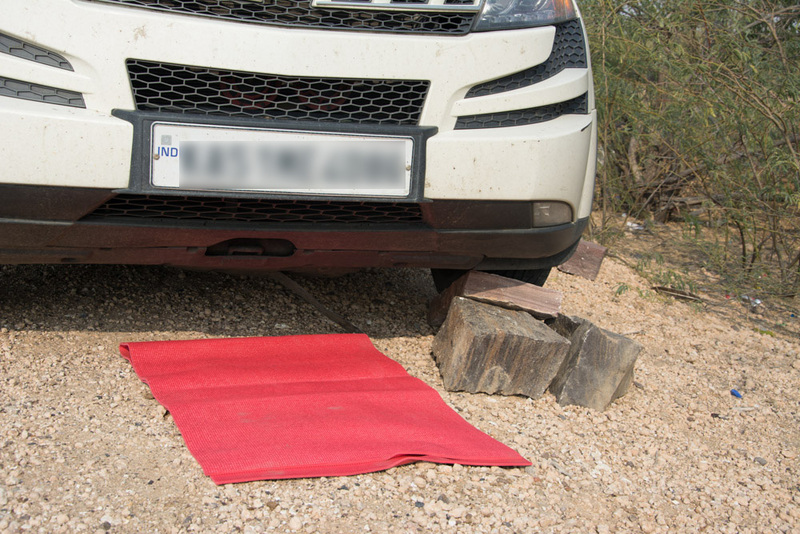 On the due course, we ran over plenty of bumps, a dog and big chunk of rock, not sure which among these ruined the plastic under engine cover. The bolts on one end had fallen off stopped by a village to mend it. We made a small ramp rolled the car on it, to make the repair maneuverable.Later realised, it would not be possible to make it to Kutch on the same day, so decided to make a overnight stay at Sanchore. It was a budget hotel and the best part was about the good parking facility. The overnight stay is to fix the essentials, to rest our self, copy data from all the devices to the laptop and most imp, to charge the DSLR. Breakfast time – We all stepped into the restaurant, Shankar with his initial sophistication ordered for a vegetable Sandwich, myself and Sathiya ordered for a plate of Poori. Shankar stepped in, to taste and ended up eating 4 plates of it. 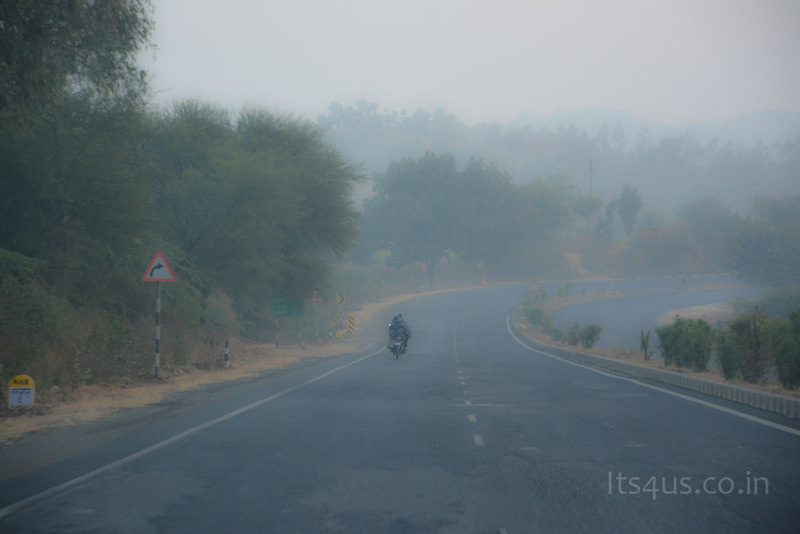 We pushed towards Bhuj started blazing on the highway, the four lane was a feast. 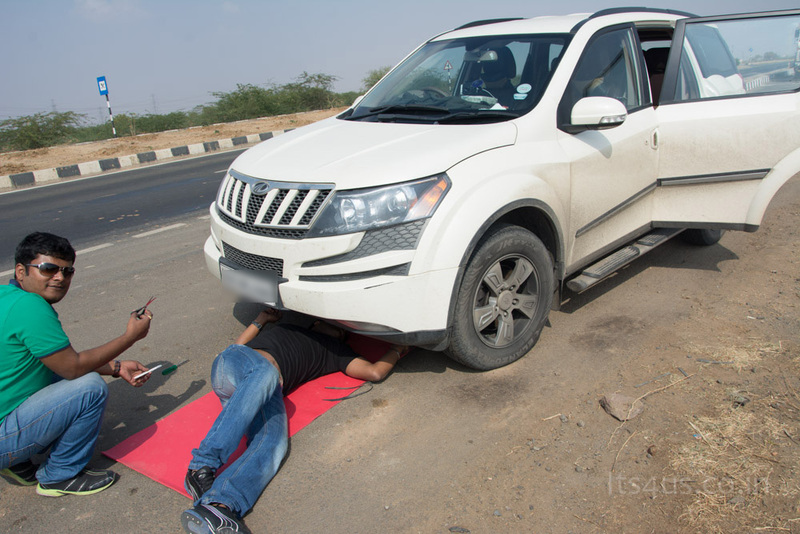 Blasting on the highway had resulted in ripping off the engine cover further, took a quick halt by Dhaba to mend it. There were pieces of rubber tube along side of the road, used it to tie as hard as possible, made it into a permanent fixture. for once we are not on NH15 this is how the road looked !! Oh BTW what road ?? 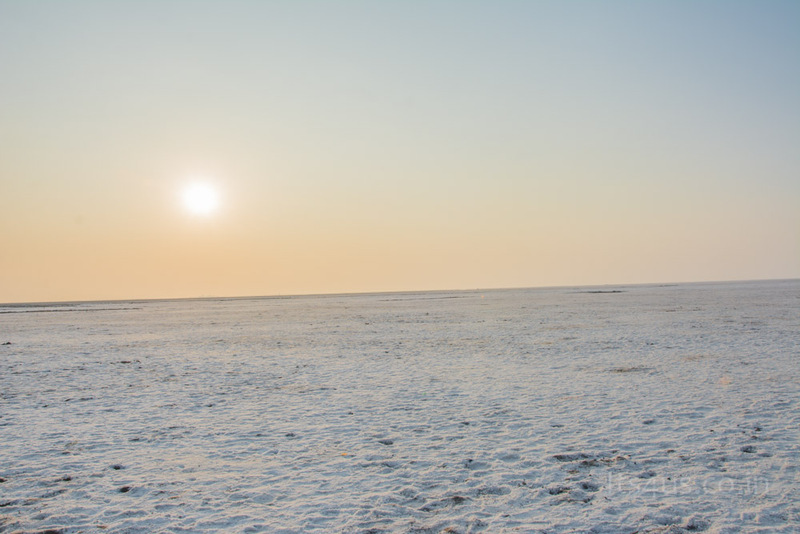 It was already time and reviews on web had pointed that sunset at Kutch to be extraordinary. We had to push harder to reach the place before 5pm, don’t even remember if we had stopped for lunch! 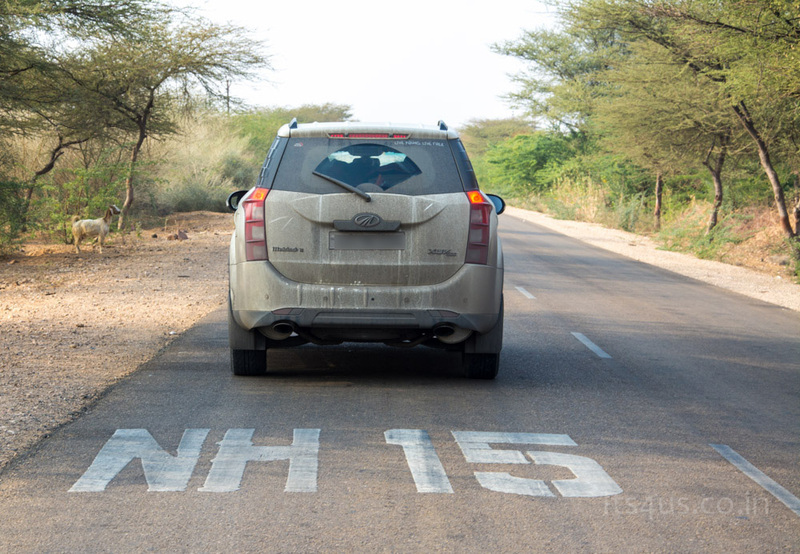 We found different short routes to bypass the Bhuj city, our speed created a curiosity as passed the Air Force base. 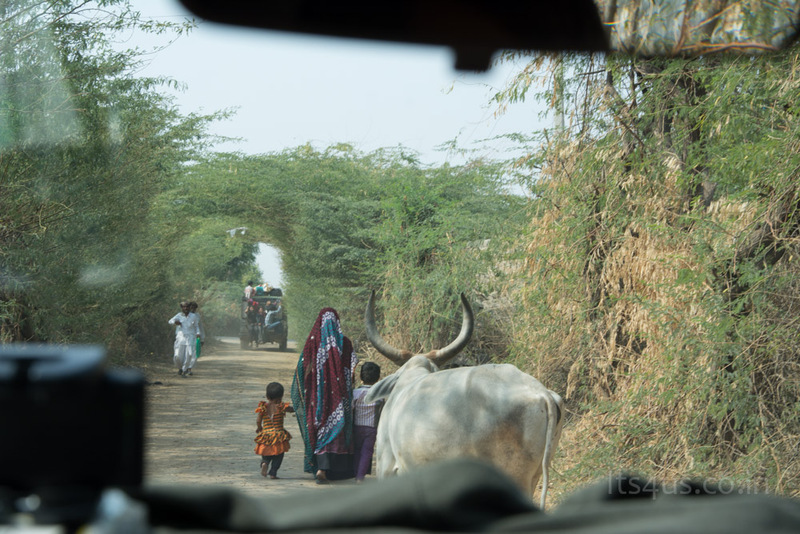 The guard from the watchtower kept staring at us, though were worried at one point but the concern was towards reaching Kutch on time. 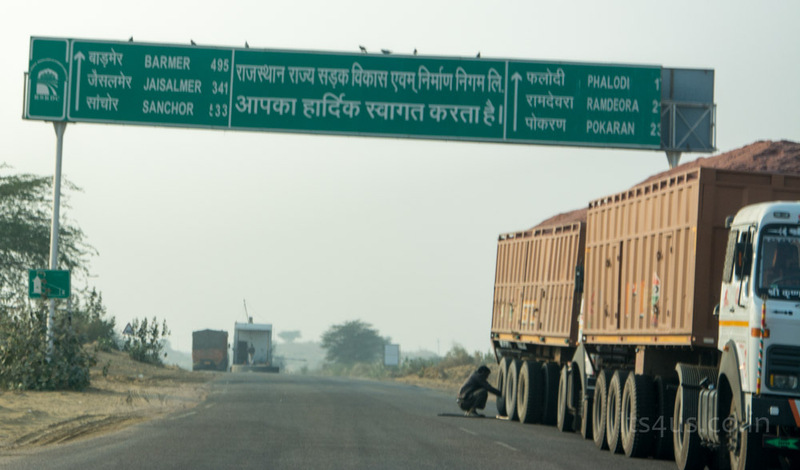 We were at about 33kms away and stopped at a check post for vehicle details declaration and entry fee. 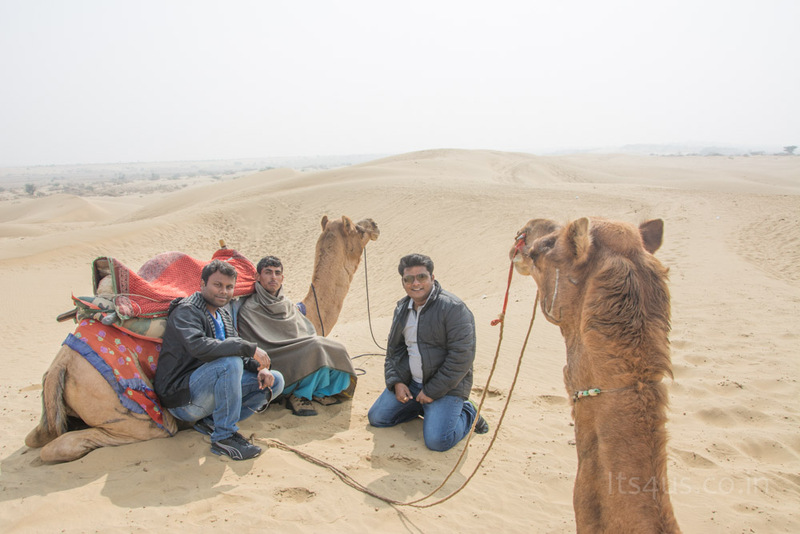 A BSF personnel stepped in asking for a drop at the army base before the White desert, we roped him in and Shankar interacted to get more basic details of the place. 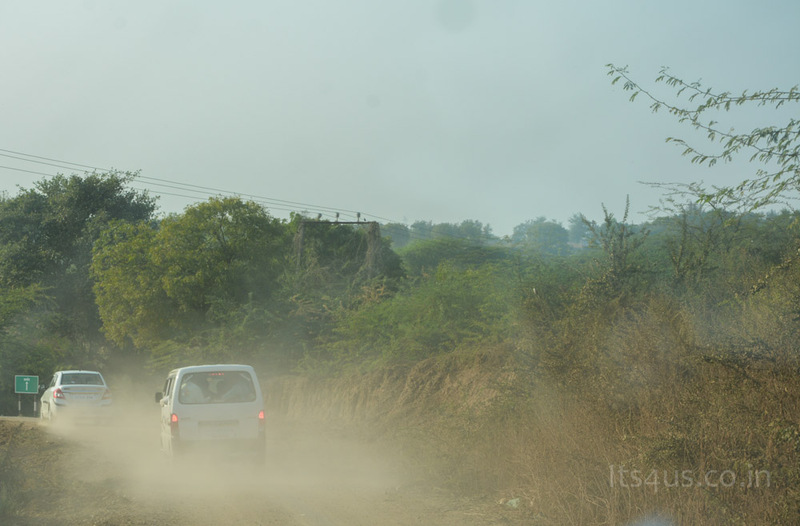 The roads were straight and nicely built, it showed the importance of tourism at Gujarat. We reached the at 20mins passed 5PM. The sun was still up, sunset, here we are! 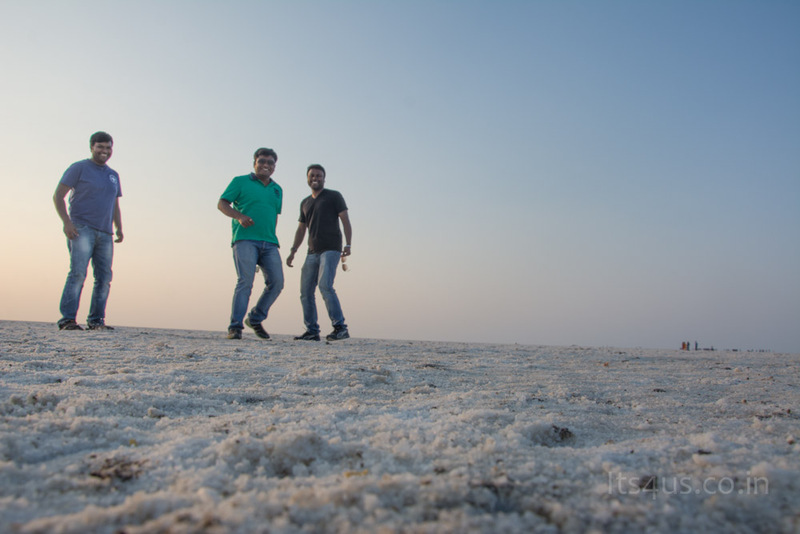 We went around the salt lake watching the Sun settle, meanwhile Sathiya was busy making timelapse, standing by the tripod. 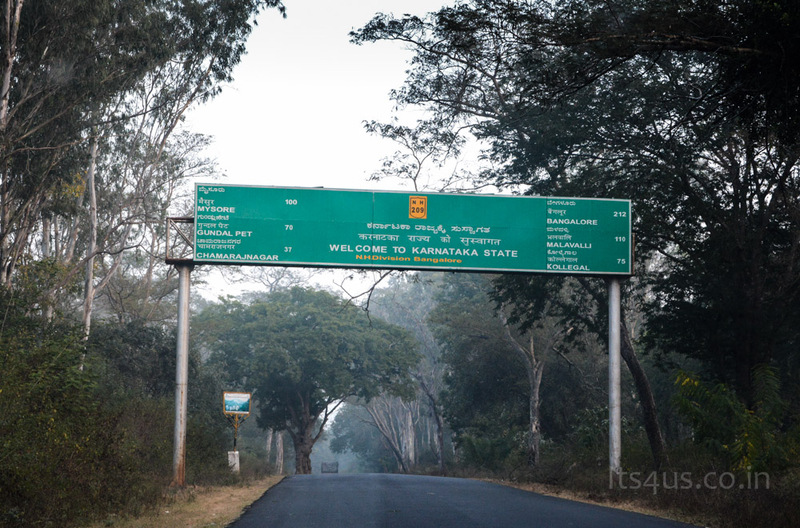 The drive and urge to be at the right place, at right time made this destination all special again. 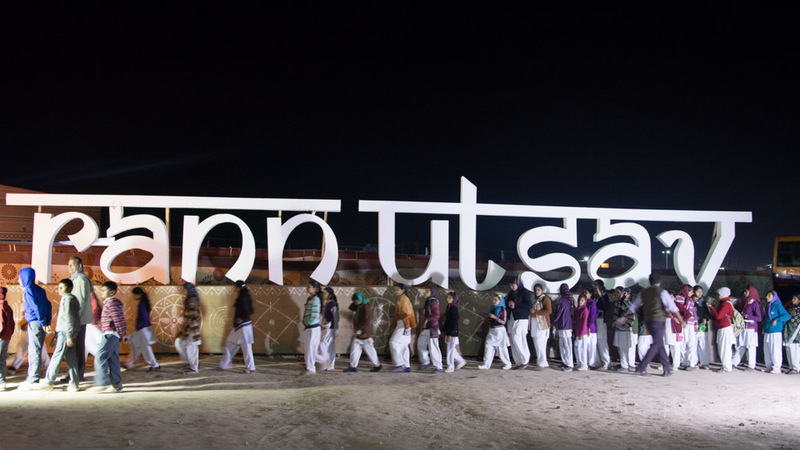 With a great sense of replenishment, we left the place and made to ‘Rann Utsav’, utmost organised. Finished the meal, packed a few more soft drinks for the return journey moved ahead. 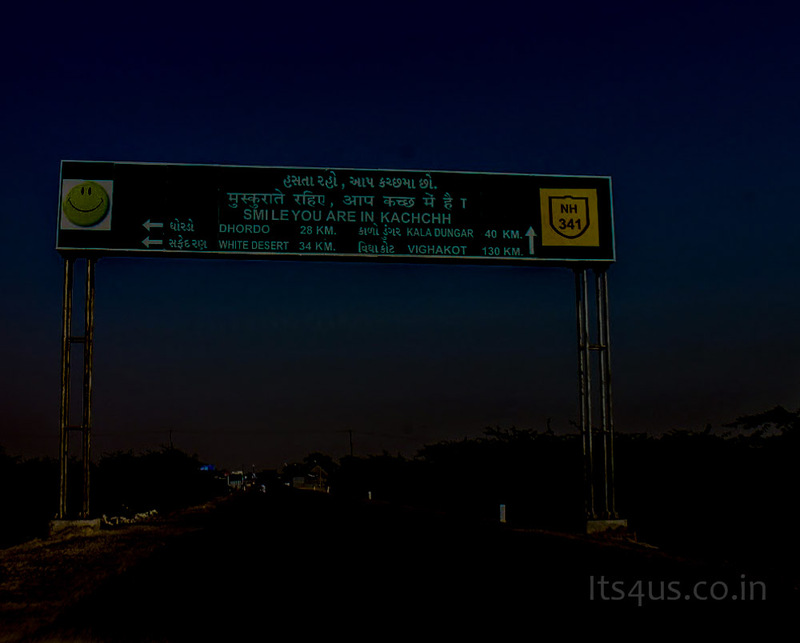 We were at the check post and couldn’t believe what we saw, there was a sign board which read as “Smile, you are in Kachchh” and we read it as “Smile, you are at Karachi” since we were used to spell it as ‘Kutch’. It blew us off, was a funny moment. The plan was to drive maximum and sleep over in the car but the tired and sleep moved the stay at the closest stay Shiv International Hotel, the best stay though the receptionist was a jackass, we hardly paid any attention and enjoyed the stay and food. As usual started the day with a heavy breakfast and throttled towards Ahmedabad. The drive was awesome, maybe the sense of accomplishment. 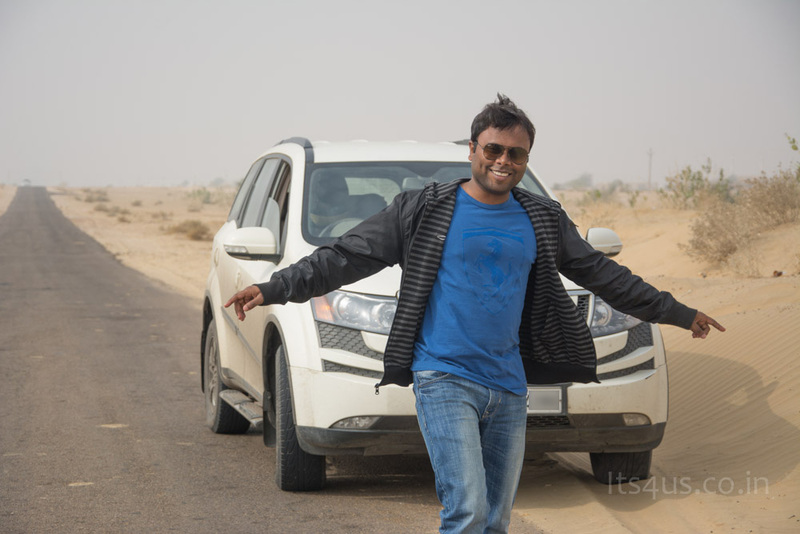 We took a pitstop at a salt extraction belt of Gujarat, more salt to see! took a break and hit the four lane again. The city was a bit congested, we managed to passes it at ease and the expressway to Vadodara was a feast, 100+Kms covered in 40mins. 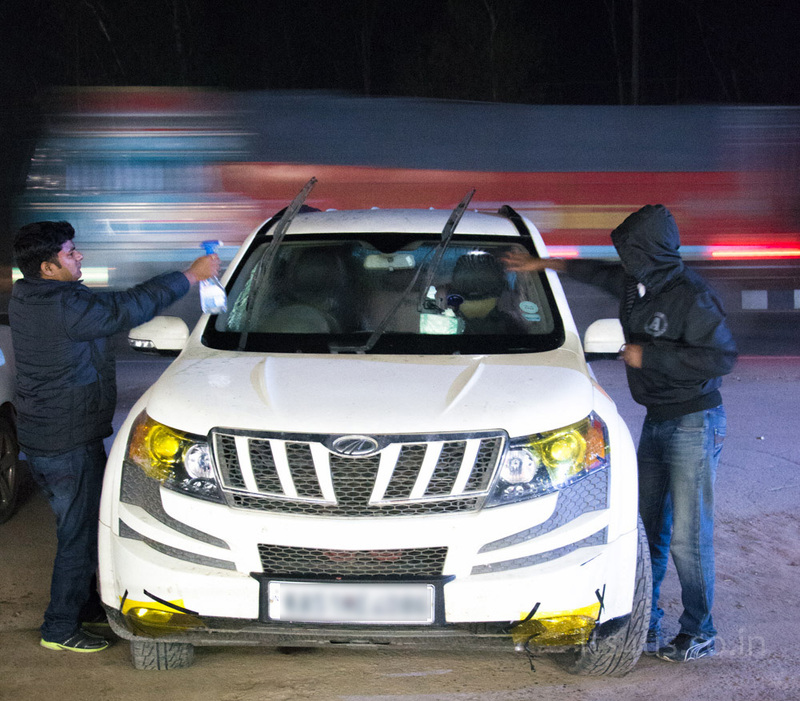 After almost a days in Gujarat we came to know about the mandatory rule of yellow sticker across the left headlight. As we are Good Citizens (yes, seriously) did take some time to search for one and got it done. 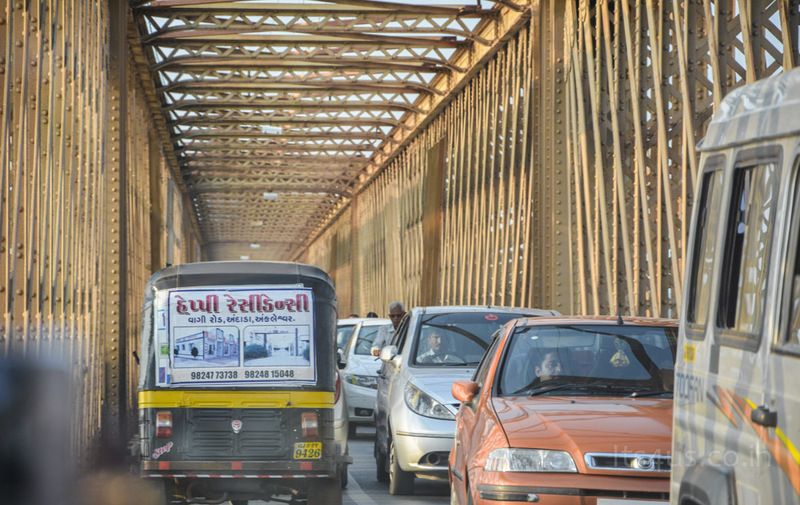 The peace was disrupted as we moved to Narmada Bridge (Golden Bridge), completed forgot that we may have to encounter it again. The traffic was stand still, must have moved 100mtrs in 3 hrs. We decided to park the car at the closest restaurant for dinner at 8.30pm. Must say about this expensive dinner of the trip, food was quite something and laughed like hell for no reason. 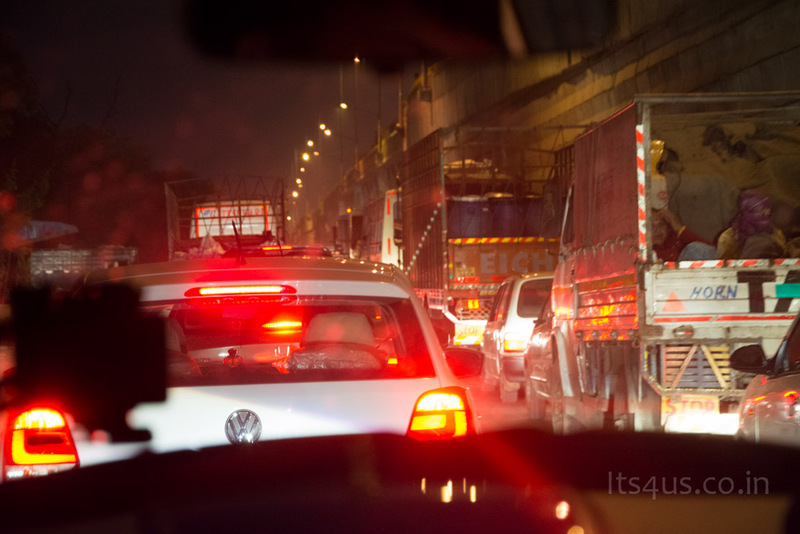 It took 1 hour to counter the traffic and a 1.4km bridge, we all were irritated with the oncoming traffic. 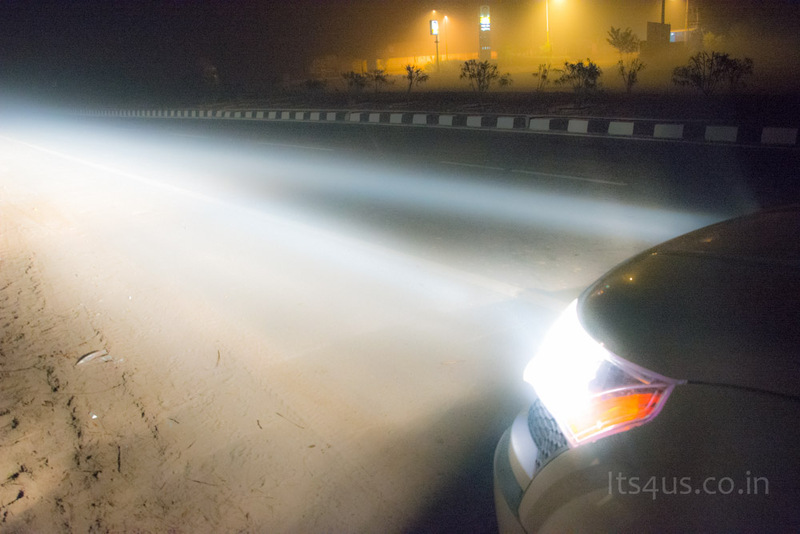 People were so sensible to use high beams on a narrow bridge at a pace of 20 kmph. We stood calm till but not for long, there was guy who took a third lane in the 2 lane road and blocking our way. We drove straight at him and scared the hell out of the guy. 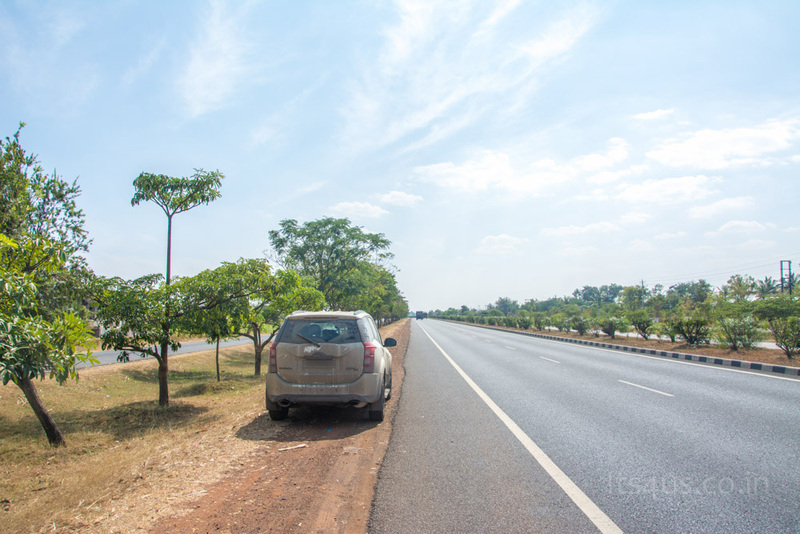 Usually at long drives, there are much chances of being irritated because of the lack of comfort and flustrating roads. Luckily this hit us when we were almost at the end of the trip. We had decided to get back pune at any cost, avoiding local stay. After a sleepover at the food plaza at Mumbai-Pune express highway, reached pune in the morning. Such a relief. Towards Bangalore ; Started after a quick refreshment kept the positive energy. 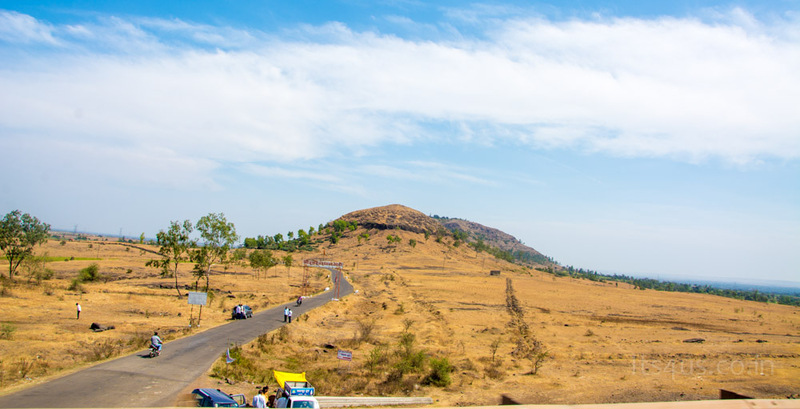 Landscape throughout AH47 Kolhapur – Belgaum stretch was such a scenic beauty. Reached Bangalore had a good night sleep. Mission accomplished.! 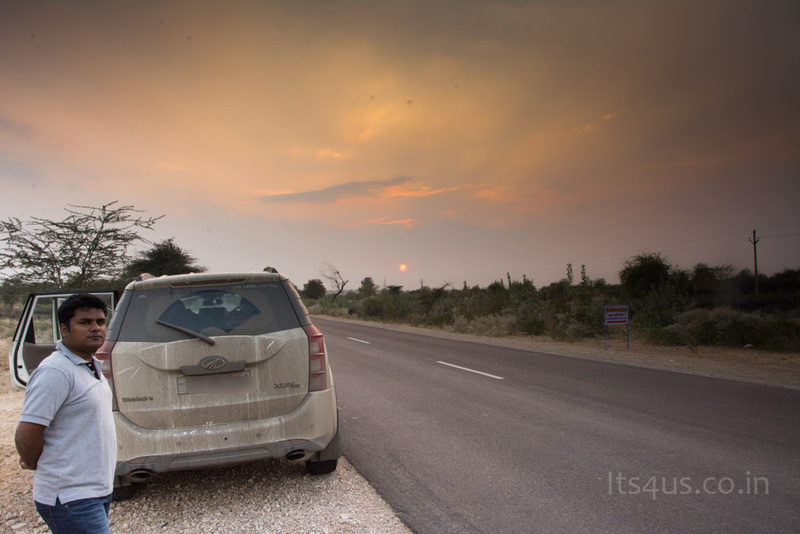 Started towards Coimbatore, this time we took the highway, had a pit stop at McDonalds. 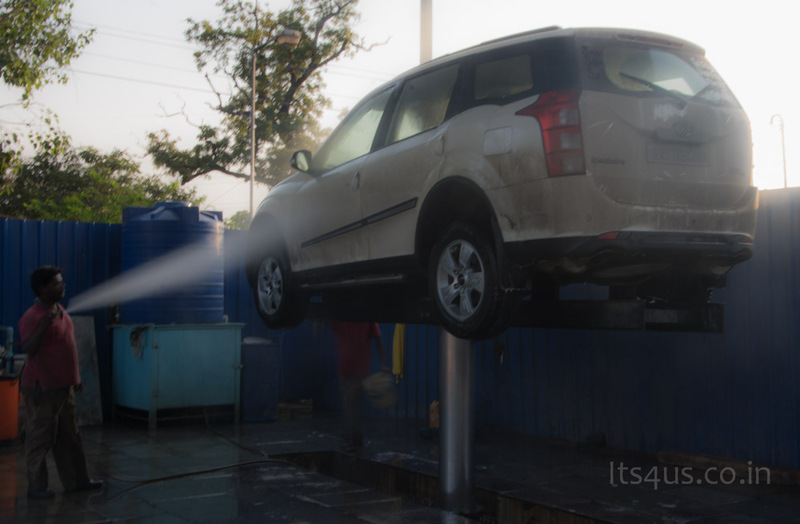 On the 13th day we reached home safe after 7616 Kms Road Trip felt awesome 🙂 As soon as we reached home we unloaded XUV and left for the much needed car wash. Credits: To all of us in making the trip happen. 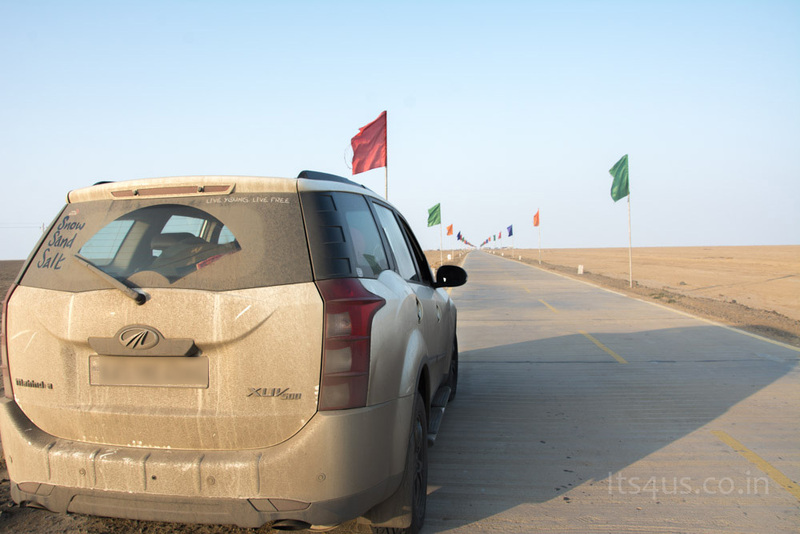 XUV, never let us down. 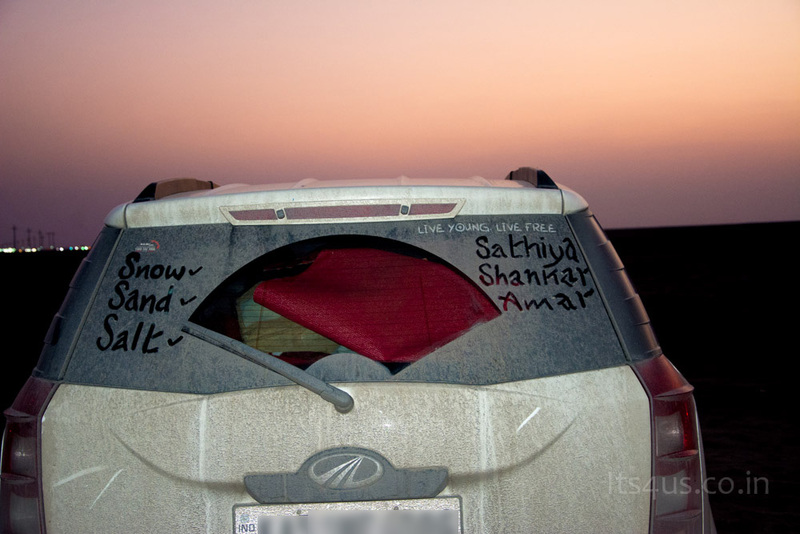 Special credits to Sathiya, who was the sole driver, 7600+kms, couldn’t imagine. 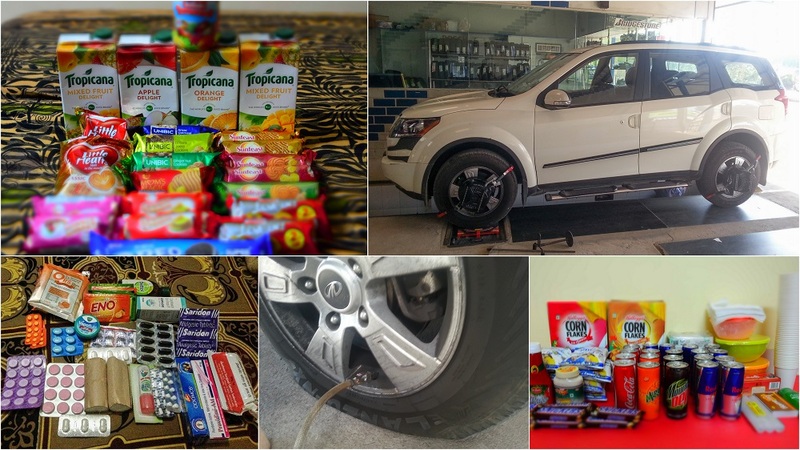 Shankar for positive energy and motivation, also to polish all the onboard snacks (our dear grinder).Amar for squeezing this plan in a short notice, help around the funding and more importantly putting this blog post together to cherish. 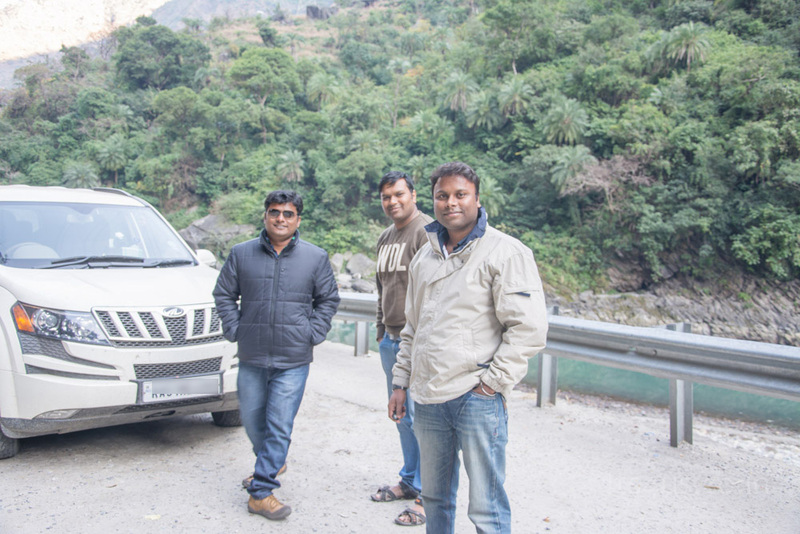 A travel freak, auto enthusiast and a foodie.